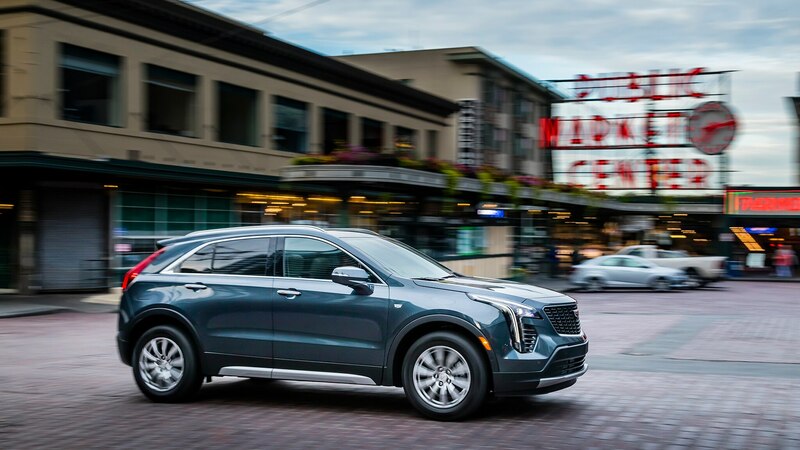 SEATTLE, Washington — We’ve been herded into a ballroom at the Four Seasons hotel in Seattle, where we’re listening to Cadillac reps explain the why behind their new ‘Y’ trim-level strategy, augmented by a fancy PowerPoint presentation. 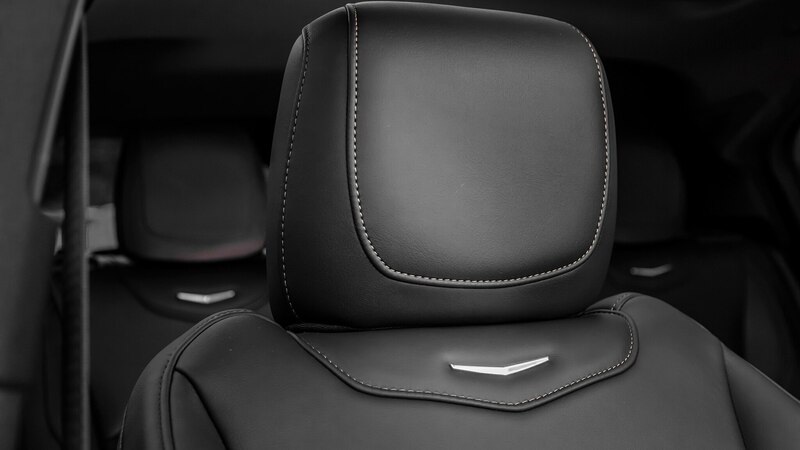 Listed on the left arm of the slide’s Y graphic are the Premium Luxury and Platinum trims, with Sport and V-Series on the right. 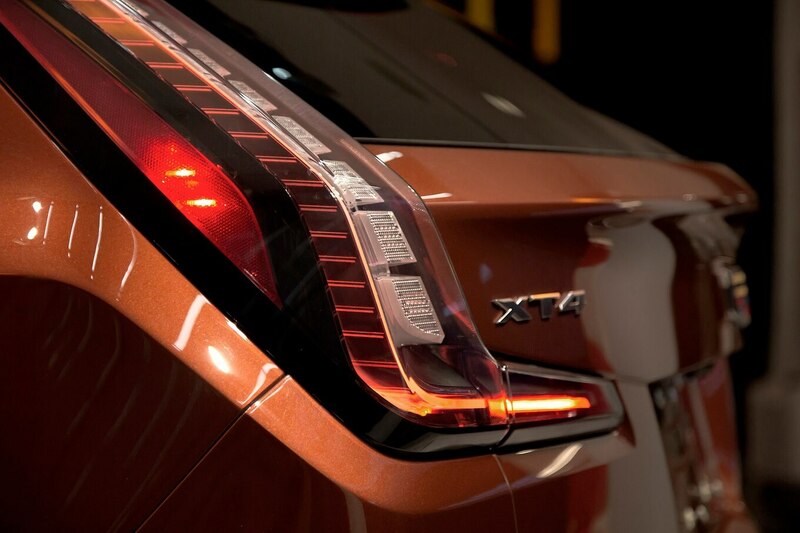 At the base of the Y is the Luxury level. 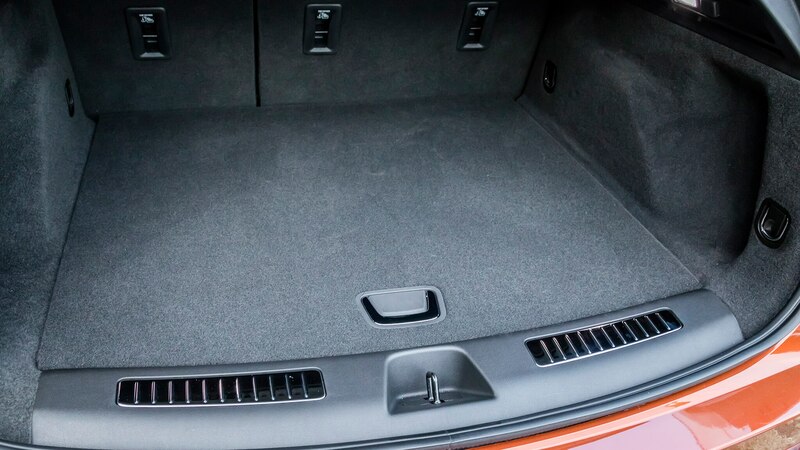 Y should you care? 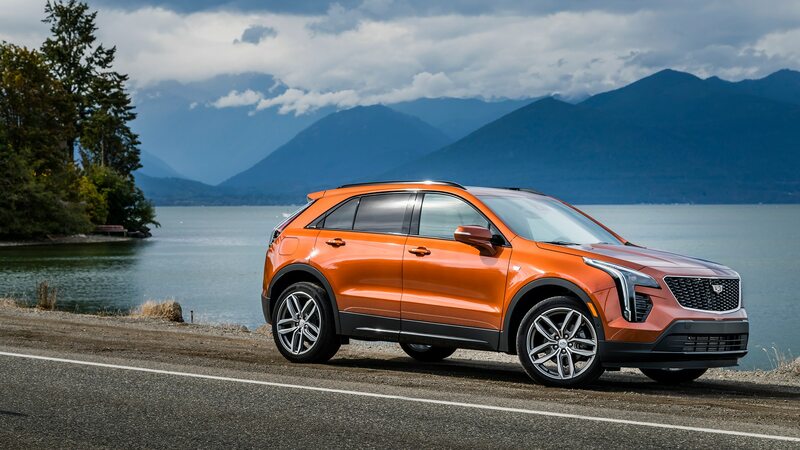 Because the 2019 Cadillac XT4, the marque’s all-new compact crossover we’ve come here to drive, represents the first implementation of Cadillac’s Y approach, that’s Y.
Cadillac says it’s aiming the XT4 at the entry-luxury, compact crossover set (think Audi Q3, BMW X1, Mercedes-Benz GLA, Volvo XC40, etc. 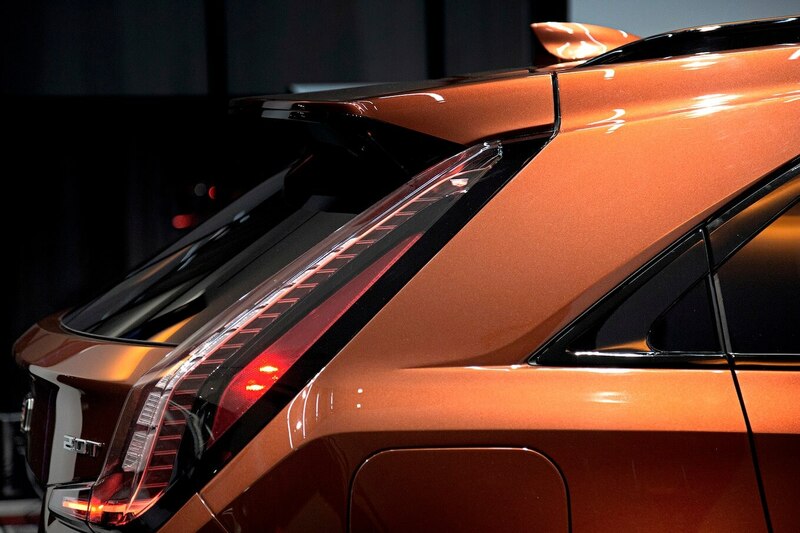 ), though it feels at least a half-size bigger than any of those vehicles. 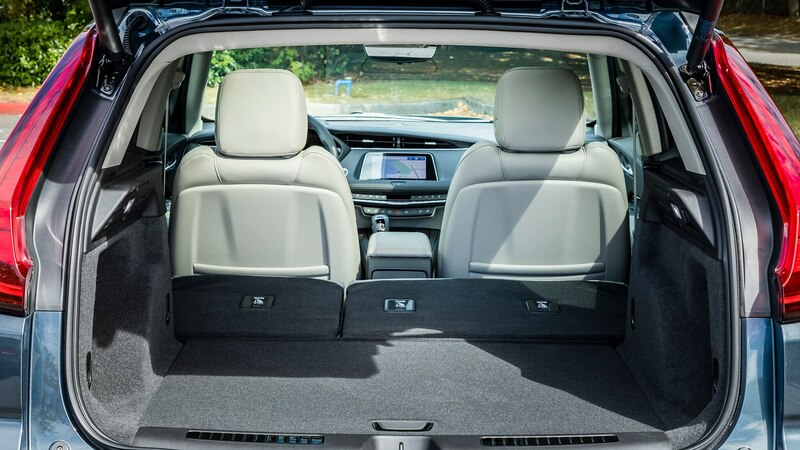 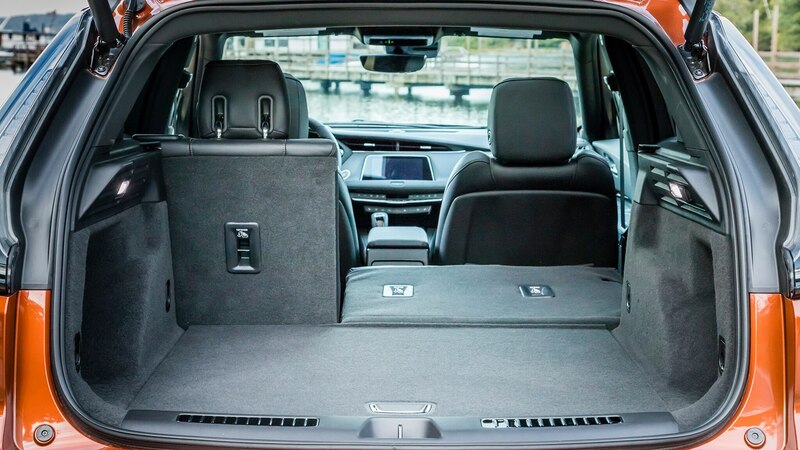 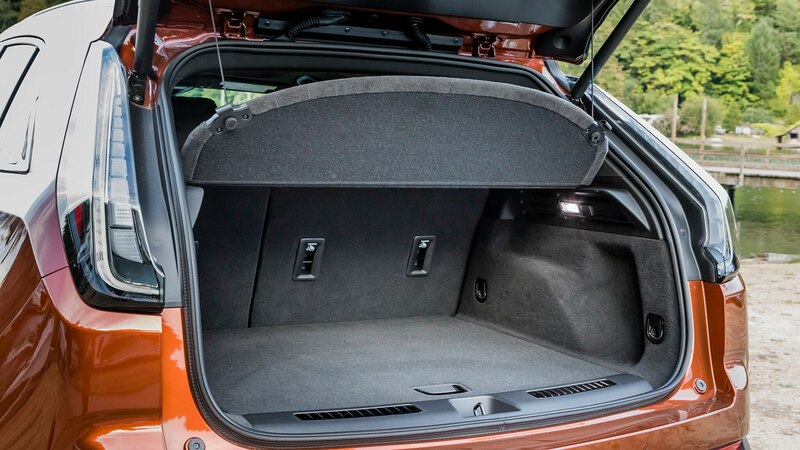 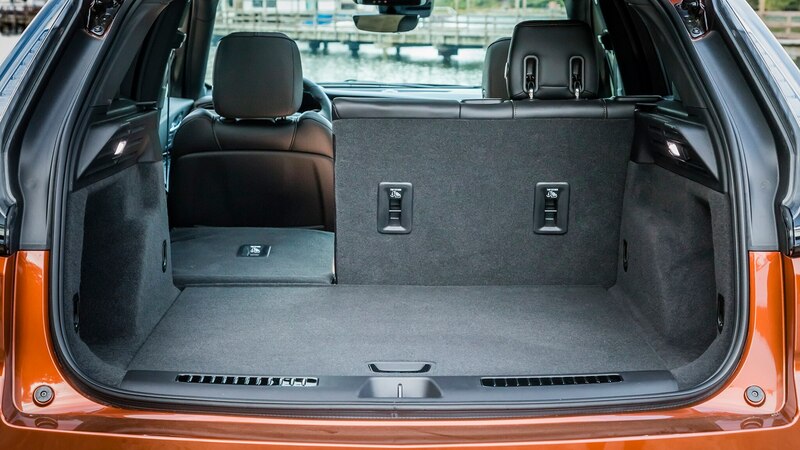 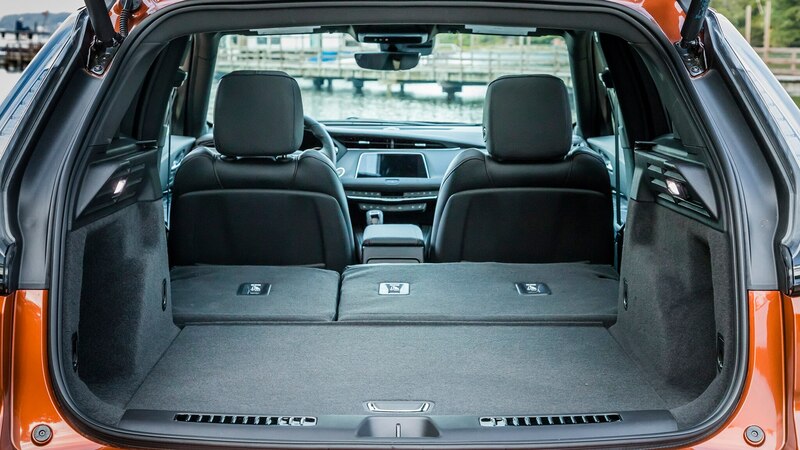 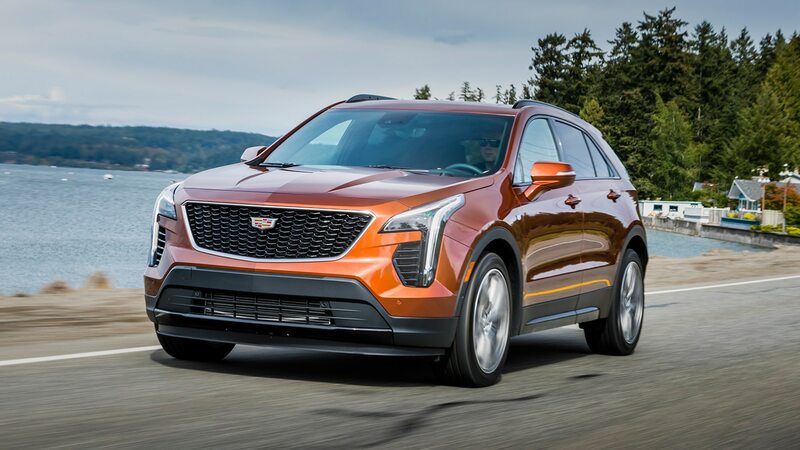 The Cadillac team says it focused on providing more usable interior volume than the competitive set, and indeed, the XT4’s 39.5 inches of rear seat legroom beats all the players mentioned here, and its 22.5 cu-ft of cargo space with rear seats up, 48.9 with them down is better than most. 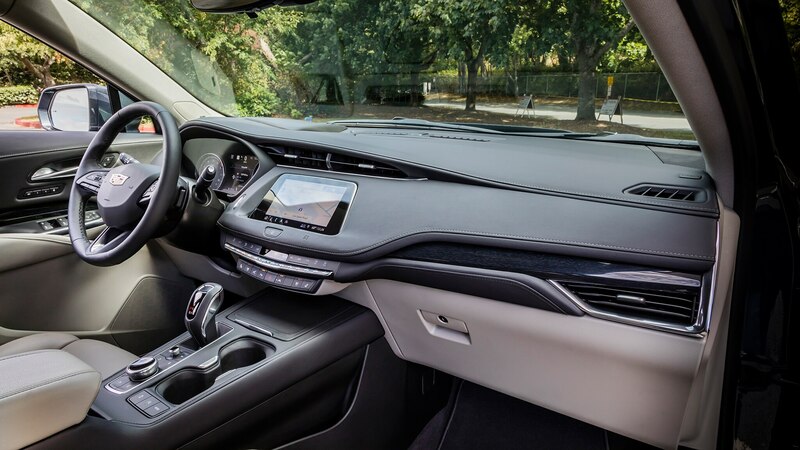 As for how it stacks up in the exterior looks department compared to the competition, we’d say pretty well, especially from the direct front or rear view. 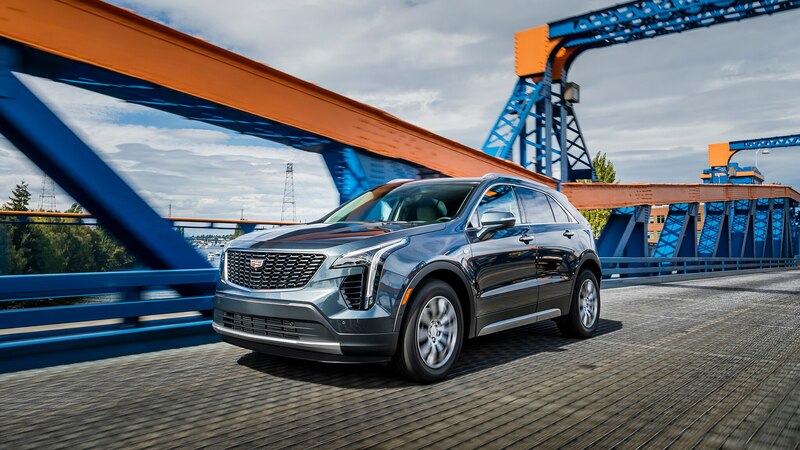 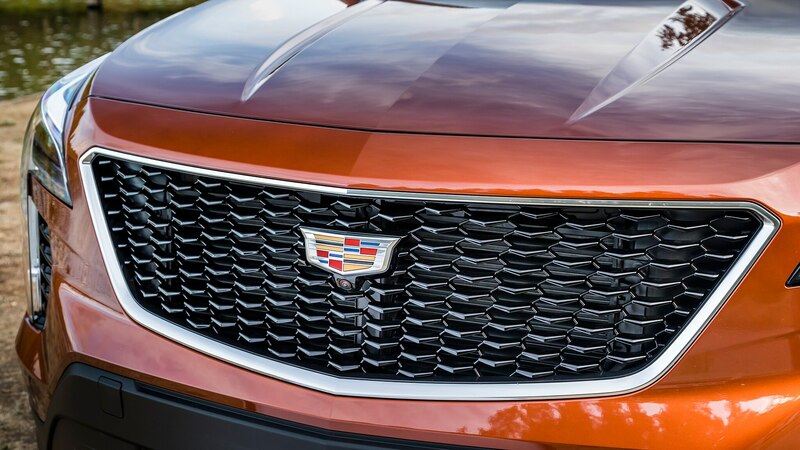 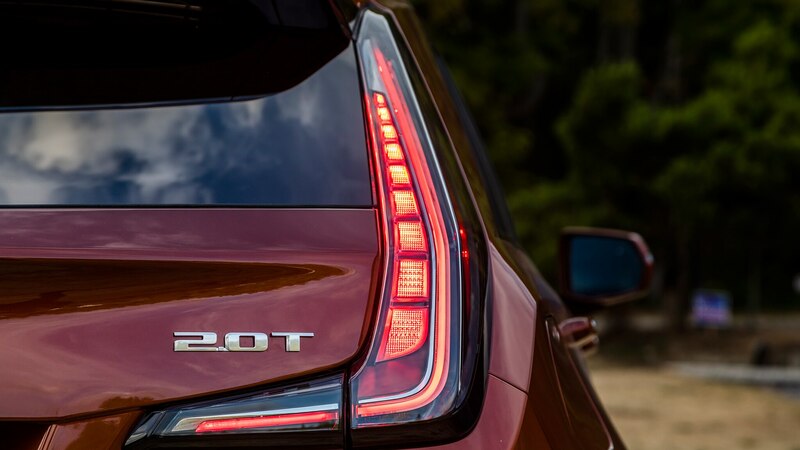 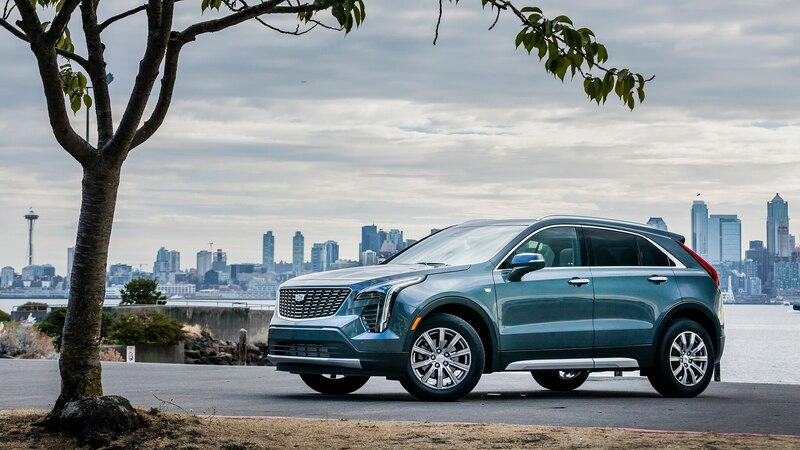 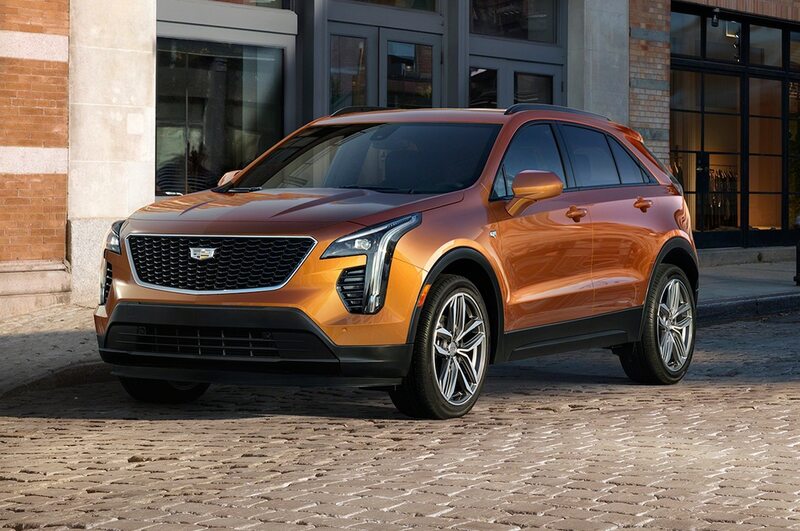 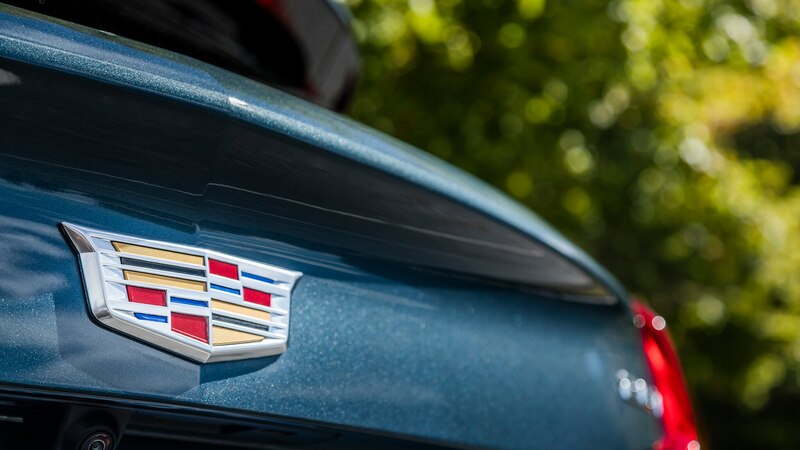 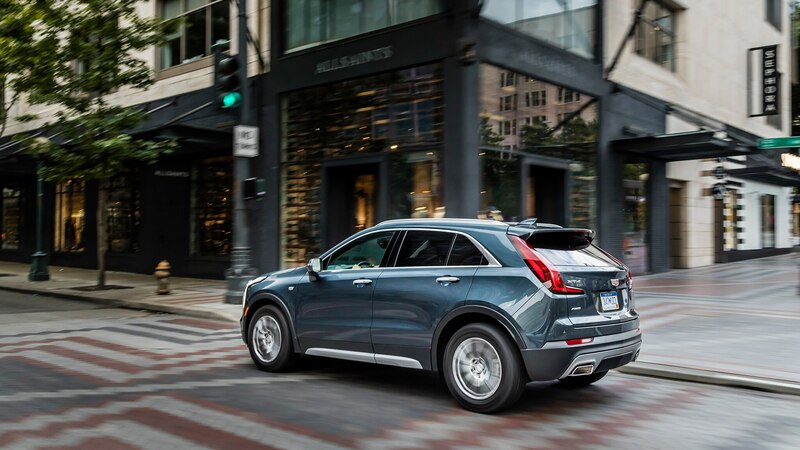 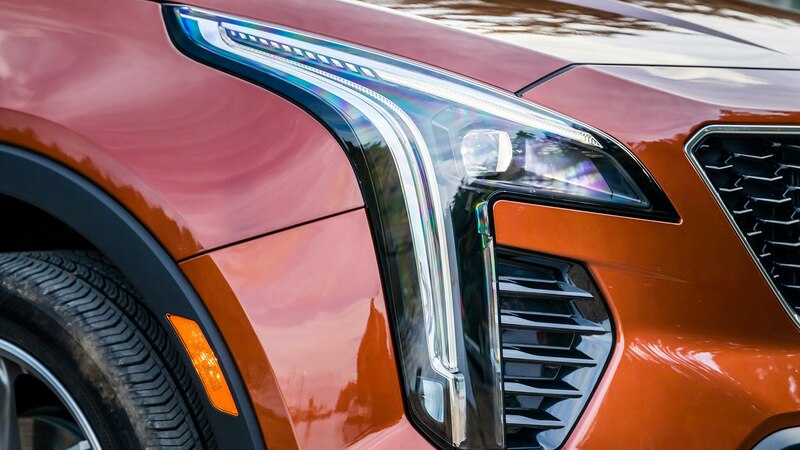 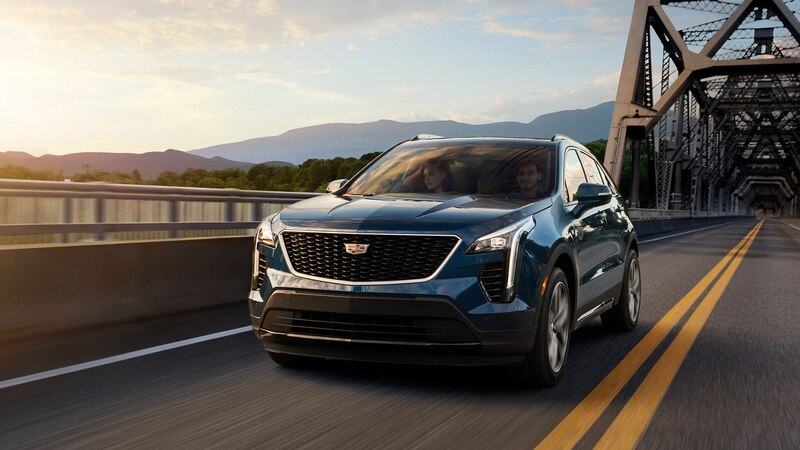 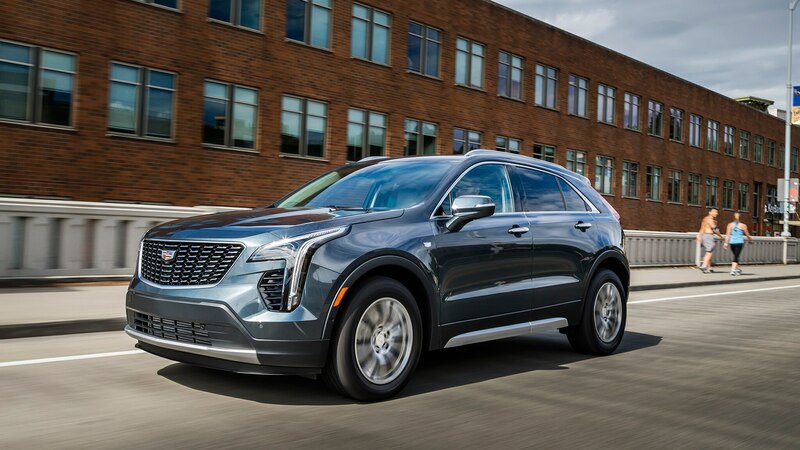 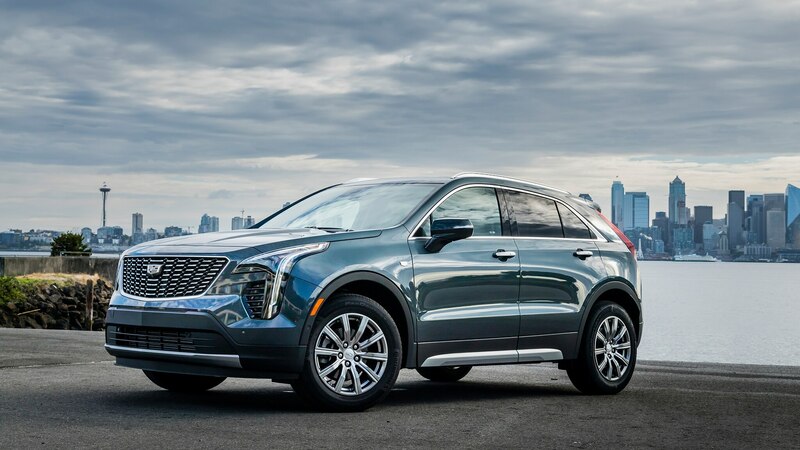 The 2019 XT4 sports a version of Cadillac’s new, thinner grille that first debuted on the CT6 sedan, with sleek and slim vertical headlights and similar taillights that echo one of the old CTS Wagon’s best styling traits. 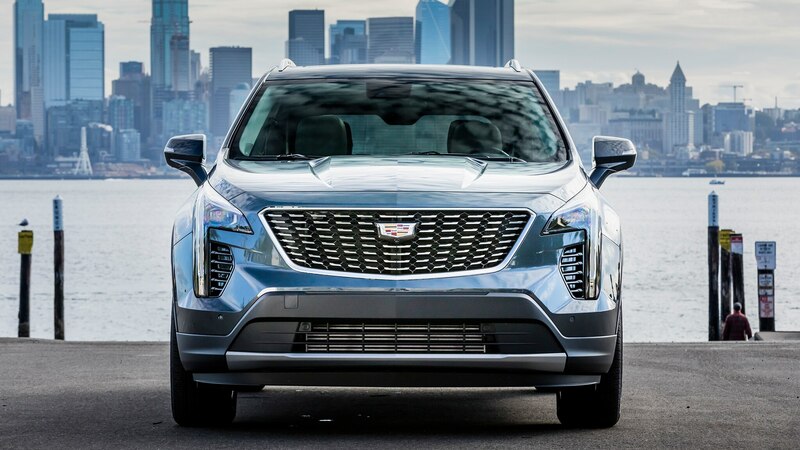 Let’s just say the profile isn’t its good side, with a generic appearance not unlike that of its General Motors stablemates. 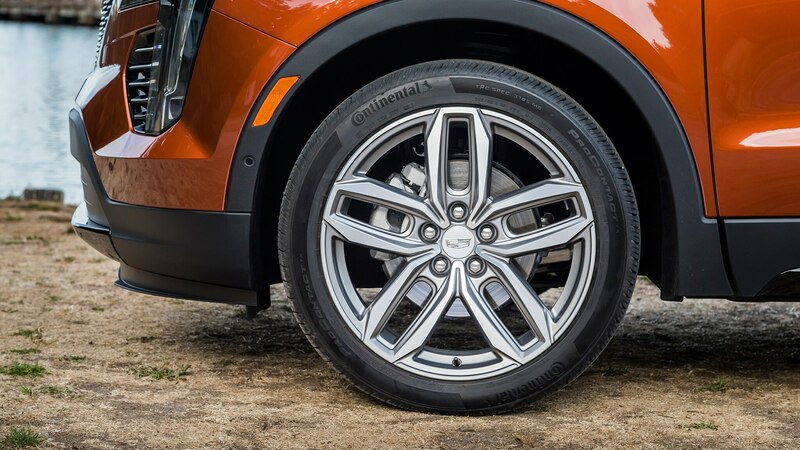 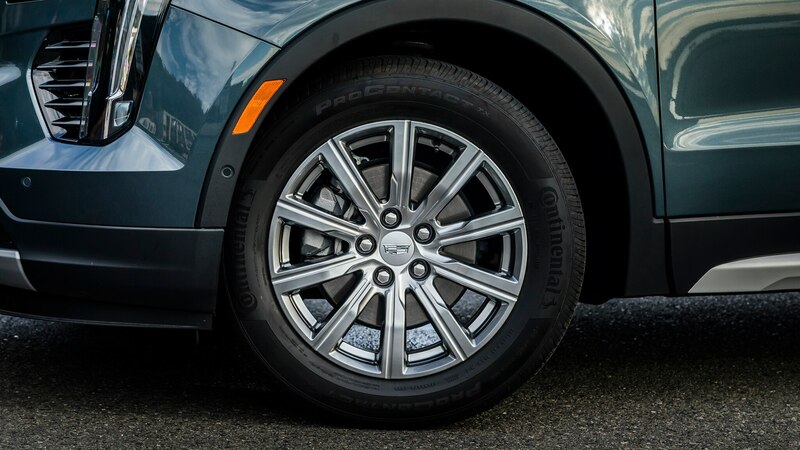 Standard wheels are 18 inches all trim levels, though each varies slightly in color. 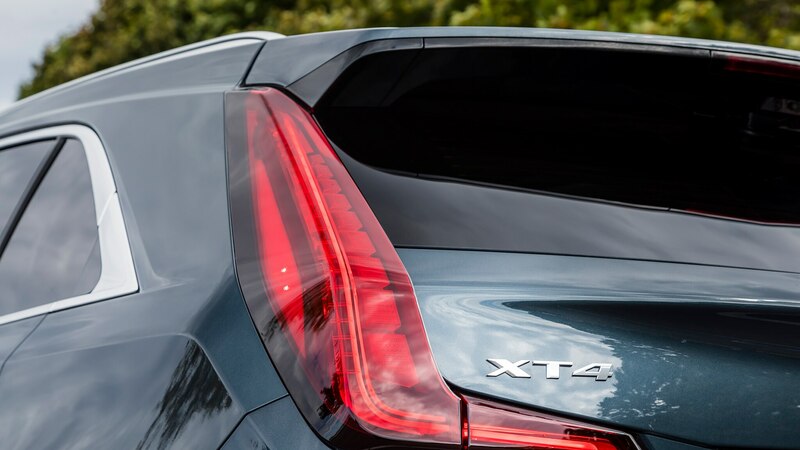 That brings us back to the Y strategy. 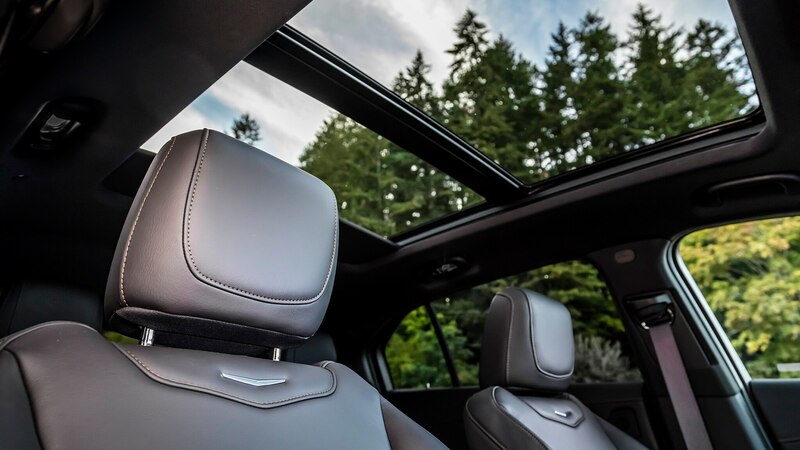 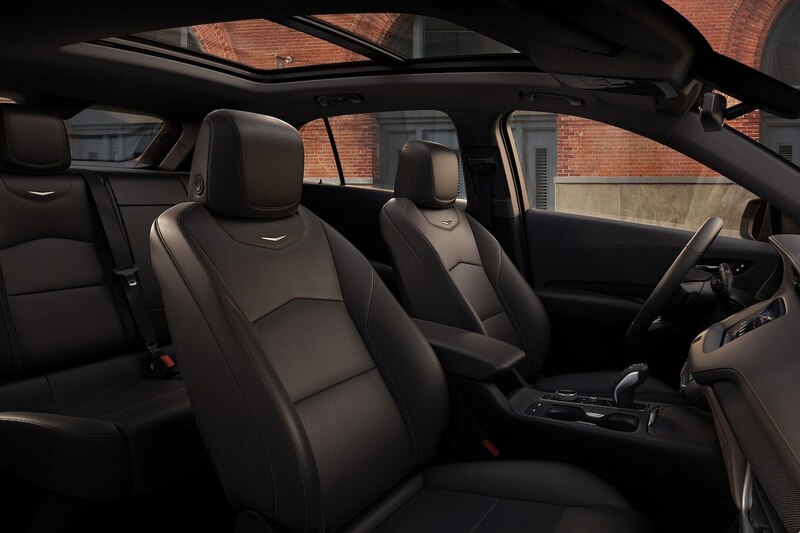 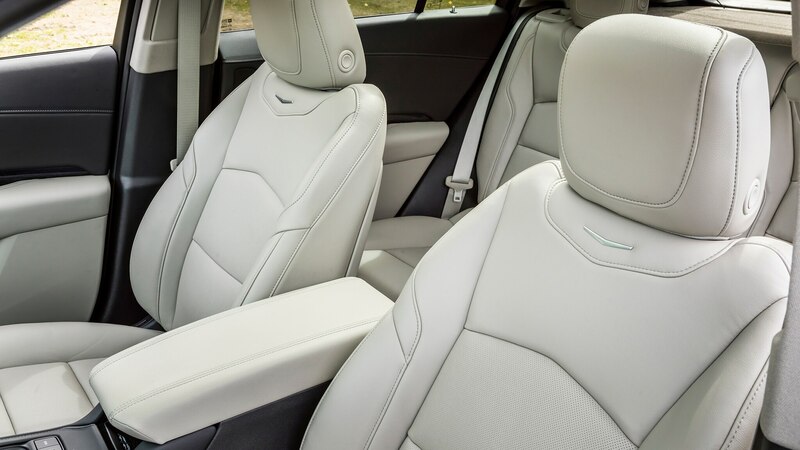 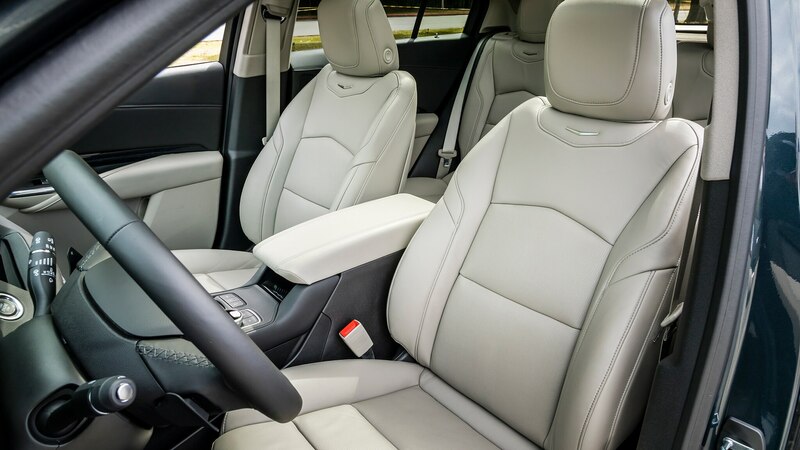 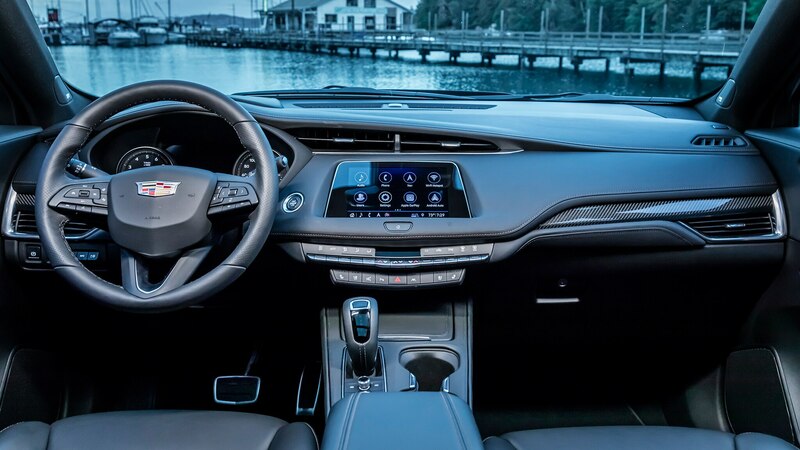 The base Luxury model checks in at $35,790 to start and features aluminum-color interior accents, leatherette seats, and satin aluminum exterior trim. 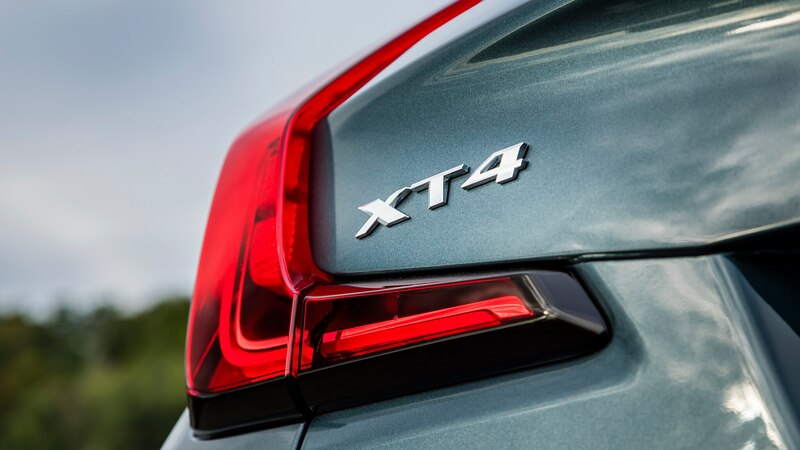 For $40,290, buyers can veer either to the left or right side of the Y with the Sport or Premium Luxury trims. 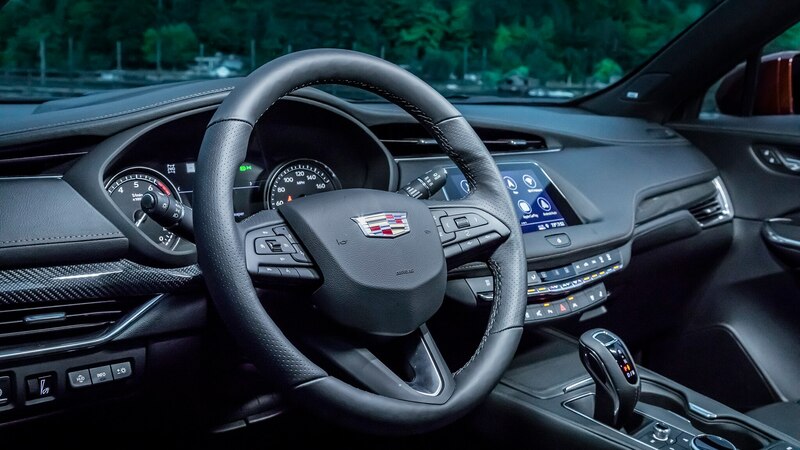 Choose the Sport path, and you get carbon-fiber interior and gloss black exterior trim, body color door handles, leatherette seats with sport accents, carbon-fiber or wood interior trim, a thicker steering wheel and unique pedals, and gloss black roof rails among other features. 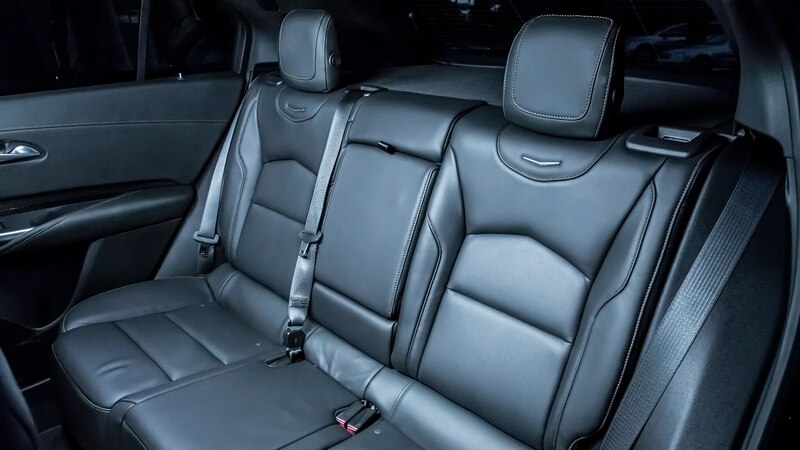 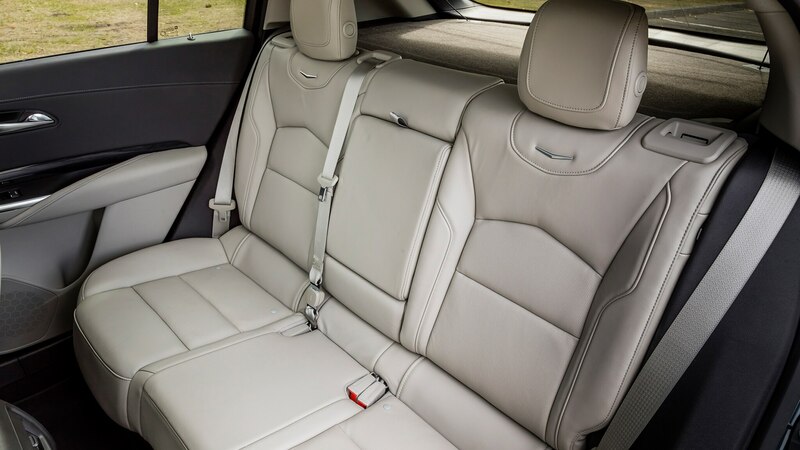 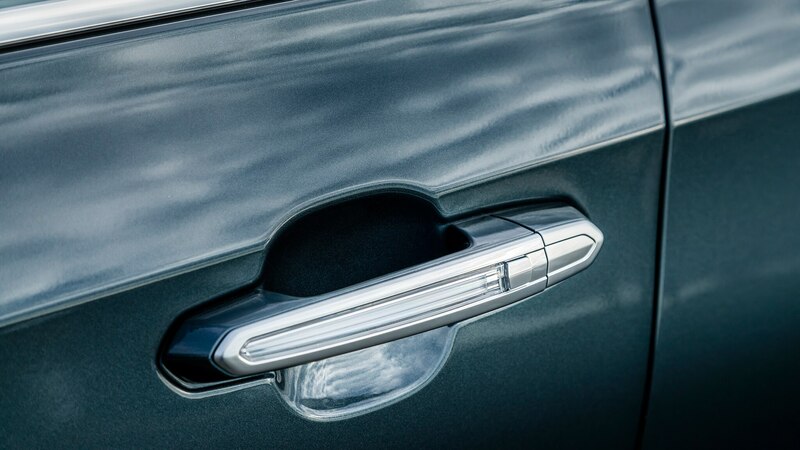 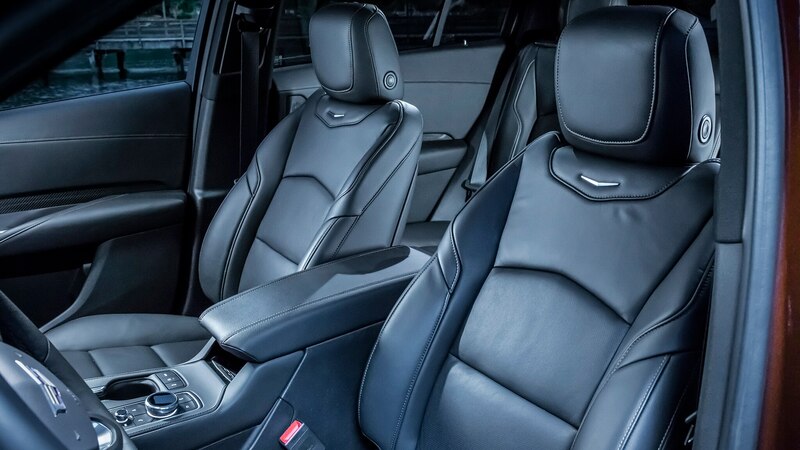 Premium Luxury takers get leather seats, wood or aluminum interior trim, satin aluminum exterior trim and roof rails, and nickel-finish door handles. 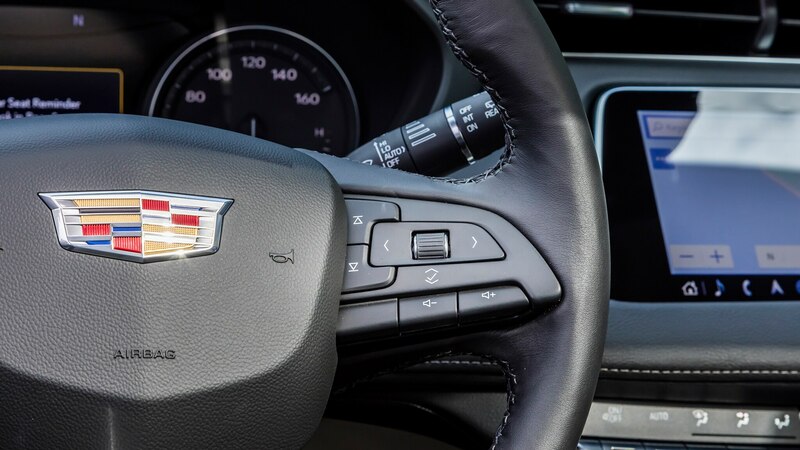 Both upscale trims also receive front and rear park assist, lane change and side blind zone alerts, and rear cross traffic systems. 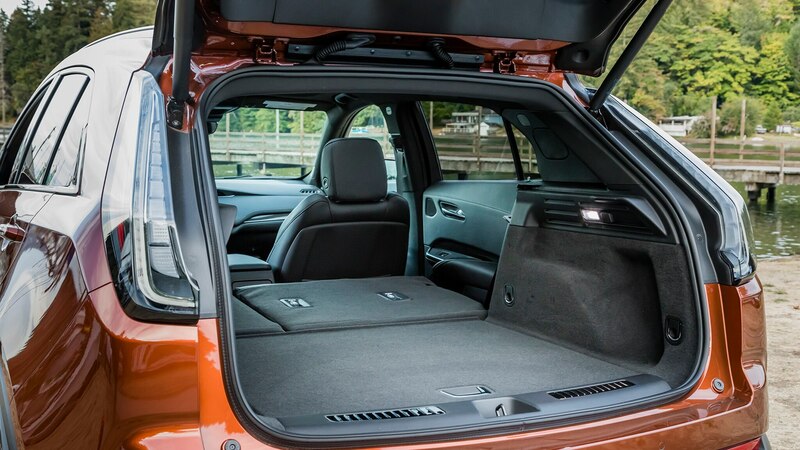 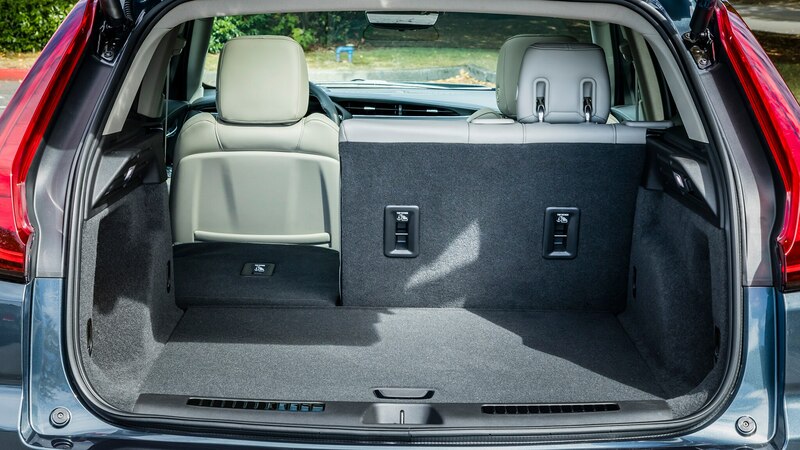 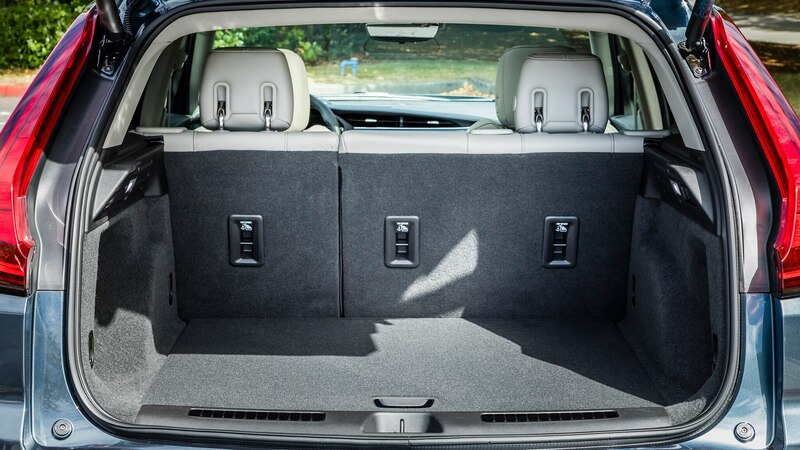 A power liftgate, driver’s seat memory, and an auto-dimming interior rear-view mirror are also part of the Premium Luxury package. 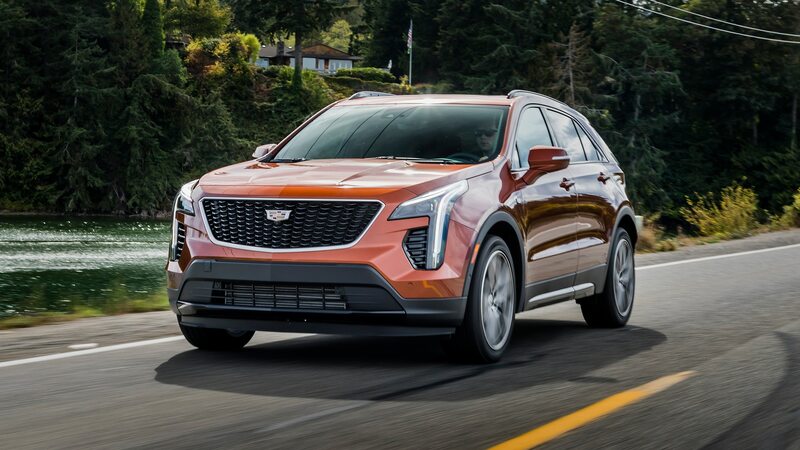 After reading all that you may be asking yourself, “Self, where are the V-Series and Platinum models at?” Not every Cadillac will get those treatments, but we suspect the XT4 will be at least going Platinum soon enough. 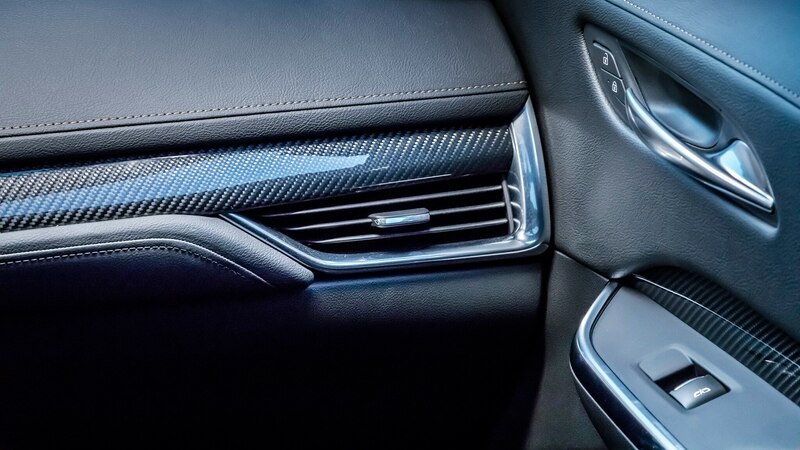 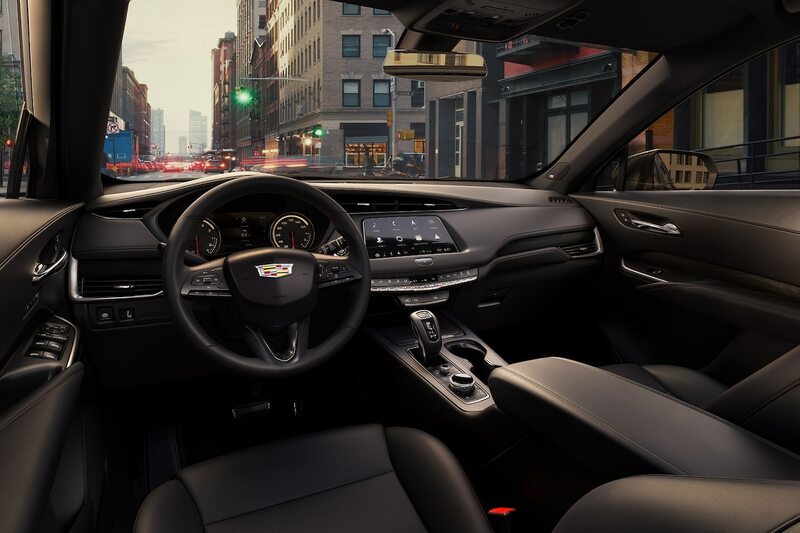 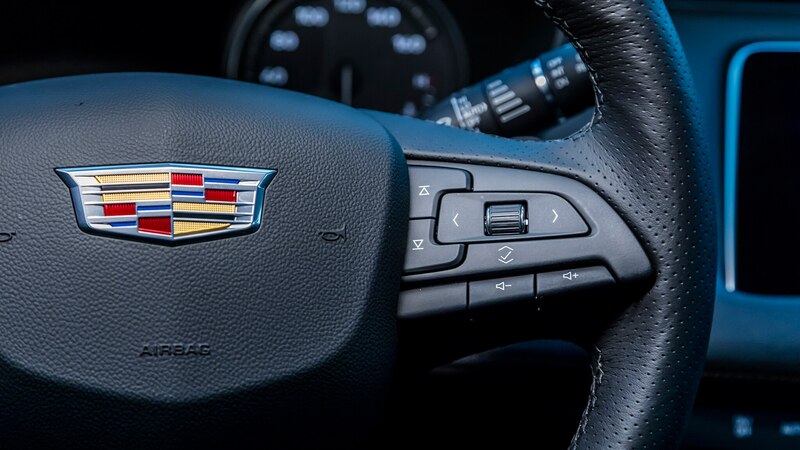 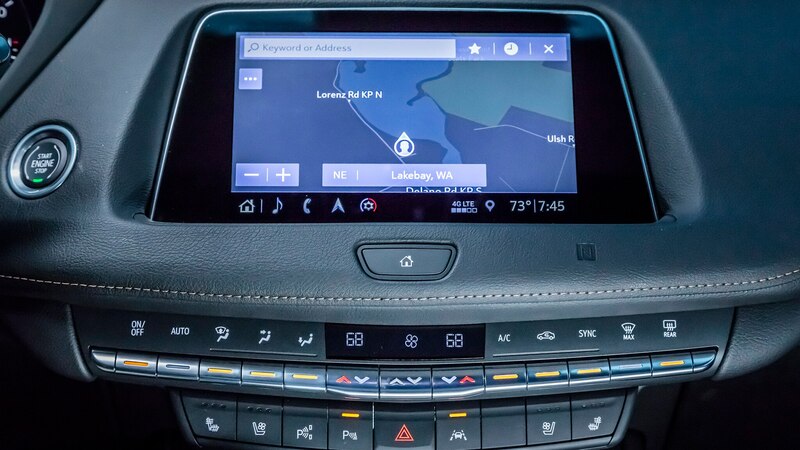 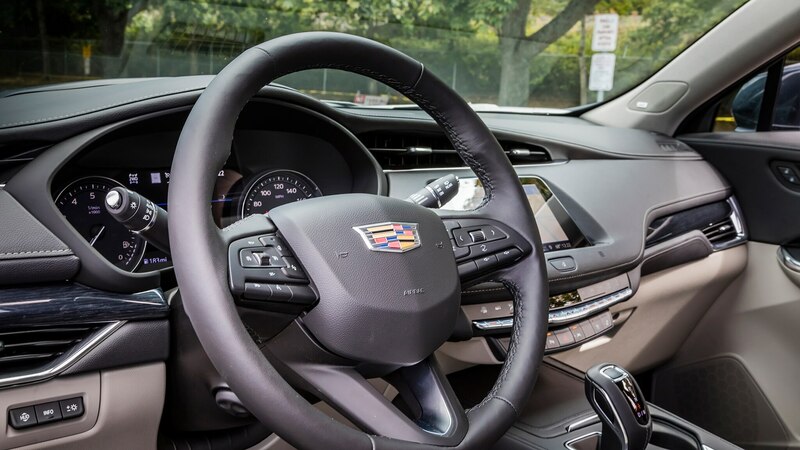 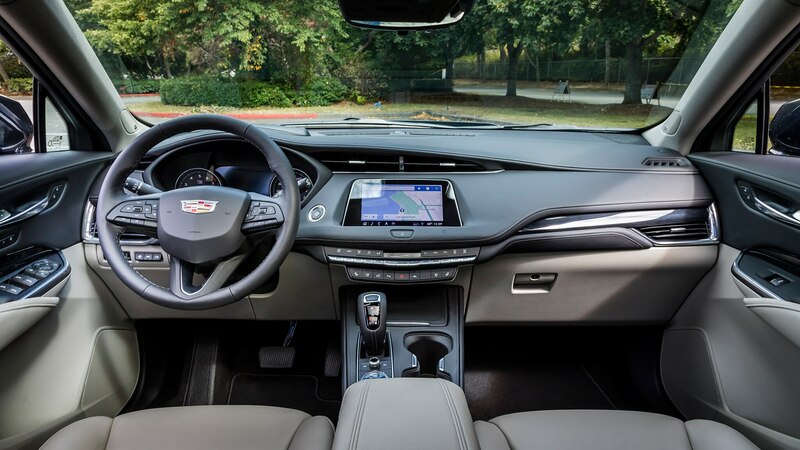 All XT4s regardless of trim get Cadillac’s new 8.0-inch infotainment screen with the marque’s redesigned Cue system that does away with the frustrating haptic feedback switchgear in favor of a center-console mounted rotary knob controller. 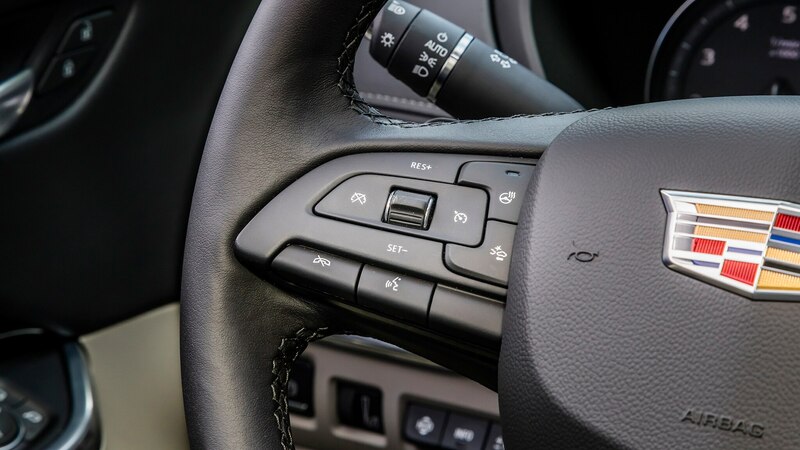 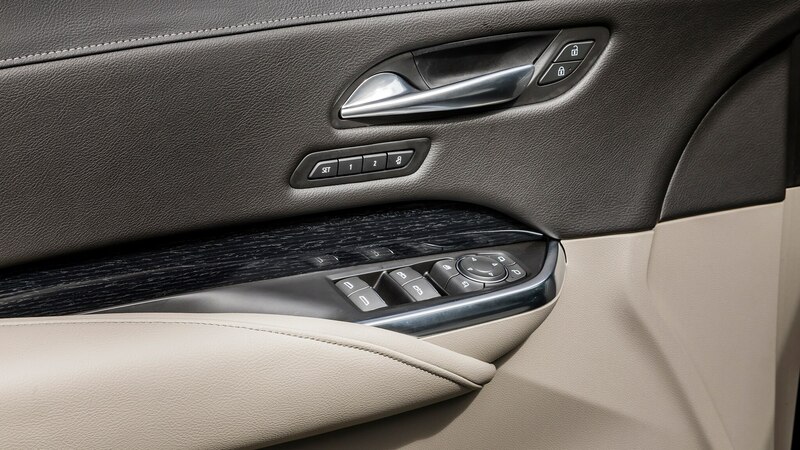 Located behind the gearshift lever, it’s further augmented by a volume knob and various quick key buttons. 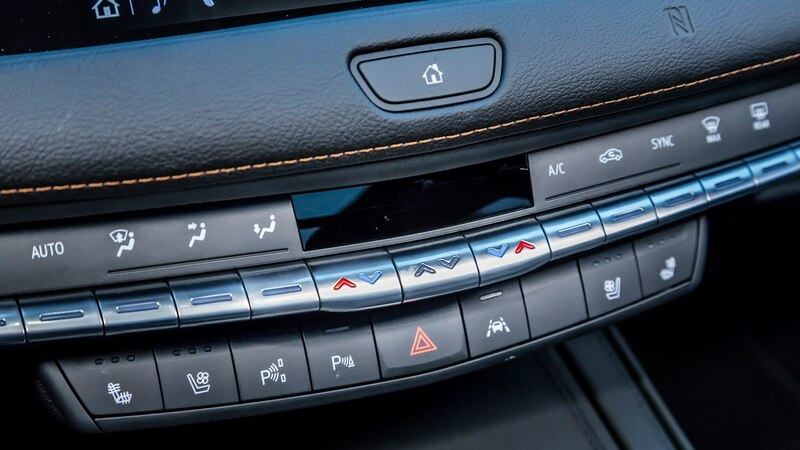 We had limited time to explore the setup in depth, but our cursory experience is that it’s an improvement over the outgoing Cue, mostly in terms of usability. 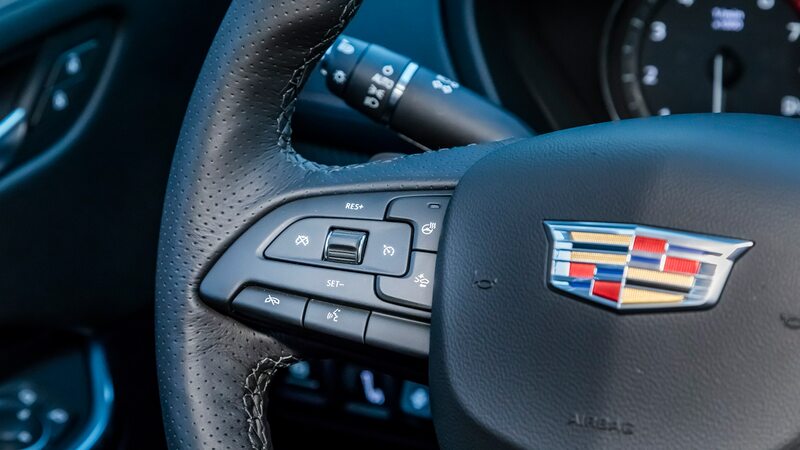 We’re told this new rotary-knob system will find its way to other Cadillac models and is already being implemented on the CT6 sedan. 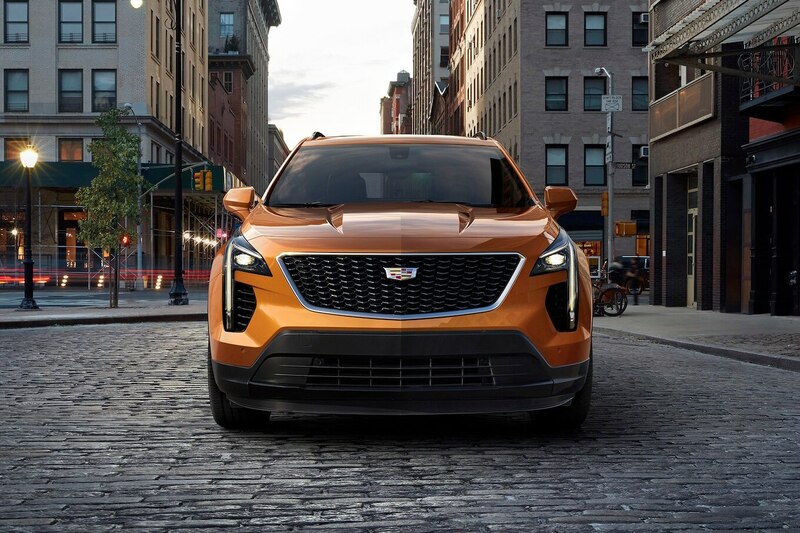 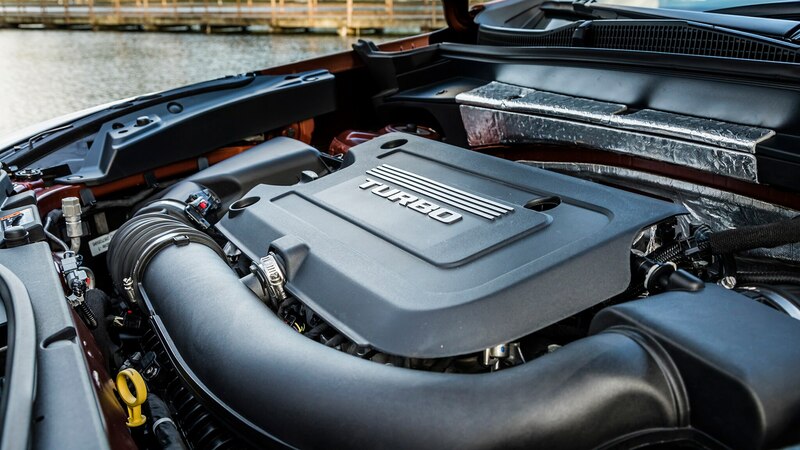 Under the hood of the XT4 is an all-new 2.0-liter turbocharged four-cylinder engine, producing 237 hp and 258 lb-ft of torque. 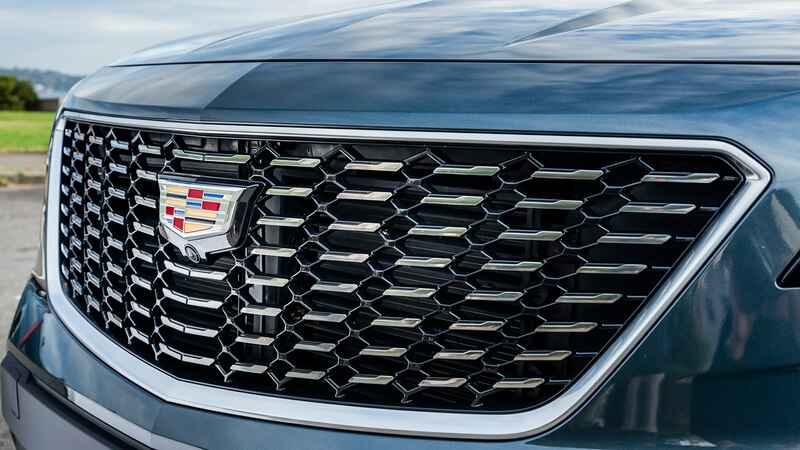 While that’s down significantly from the old 2.0T’s 272 hp and 295 lb-ft, Cadillac says the engine is far more efficient thanks to a twin-scroll turbocharger, cylinder deactivation, and the engine’s trick “Tripower” valvetrain system, which utilizes a shifting groove that effectively “slides” the cam lobe profile to one of three settings depending on driving condition. 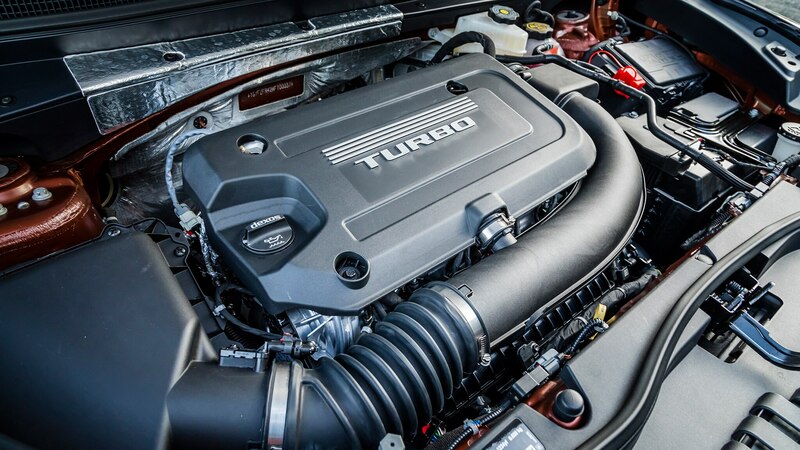 At the low end of the profile spectrum is the Active Fuel Management groove, which disables two cylinders and is designed for very light, freeway cruising; low valve lift is set up for balanced power and efficiency; and high valve lift engages when you need to put the hammer down in passing or hill climbing situations, for example. 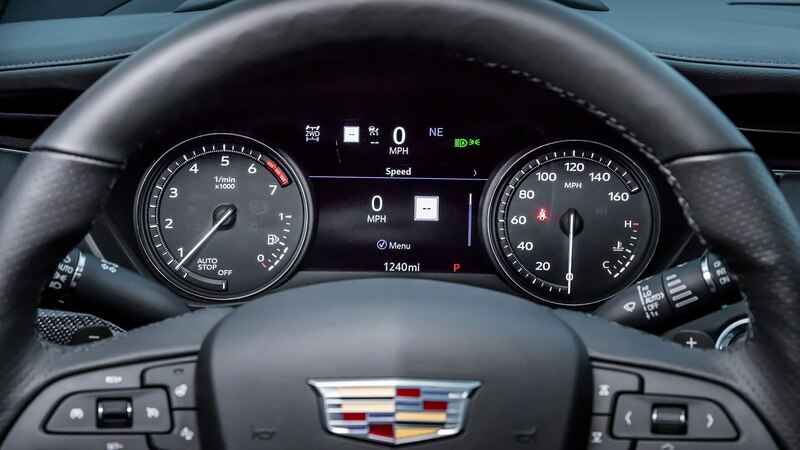 Additionally, the new engine’s peak torque comes on between 1,500-4,000 rpm compared to the outgoing engine’s 3,000-4,600 rpm, meaning in routine cruising conditions you’ll typically see the tach needle stay under 2,000 rpm, further optimizing fuel economy. 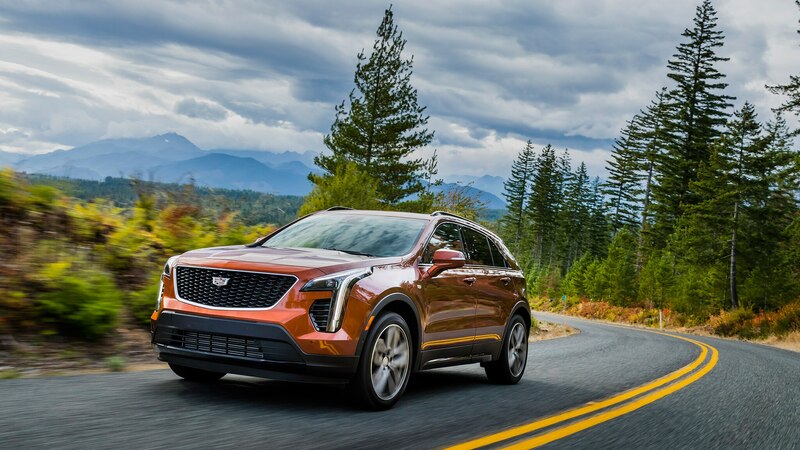 The XT4’s transmission is all-new too, a 9-speed automatic with a broader ratio than the outgoing 6-speed unit (7.6:1 vs 6.0:1) and a 4.69 first gear along with a 0.62 top gear to get that sub-2,000 rpm cruise speed. 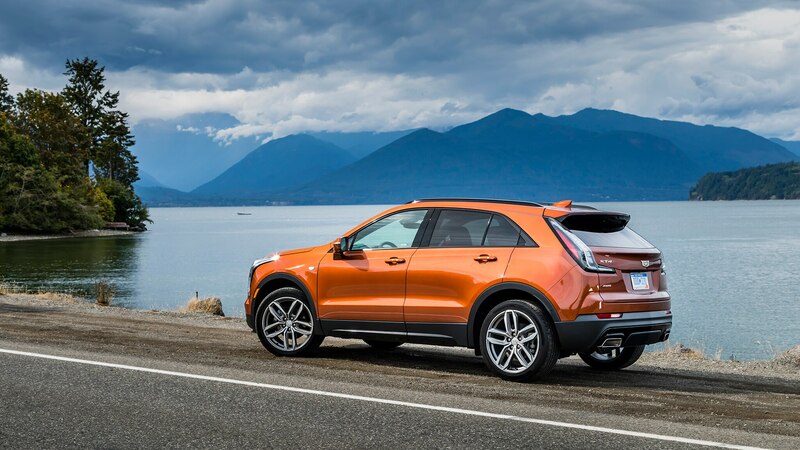 A twin-clutch all-wheel-drive setup is available on all XT4 models for an extra $2,500 and features a front disconnect to run in FWD at the push of the drive mode button. 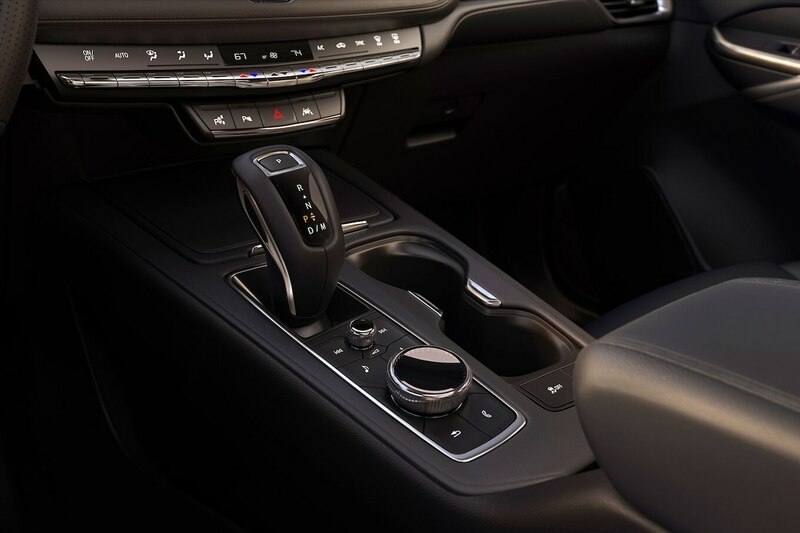 Other drive modes are AWD and Sport, both of which activate the all-wheel-drive system, while the latter also boosts steering effort and throttle response, allowing for higher shift points. 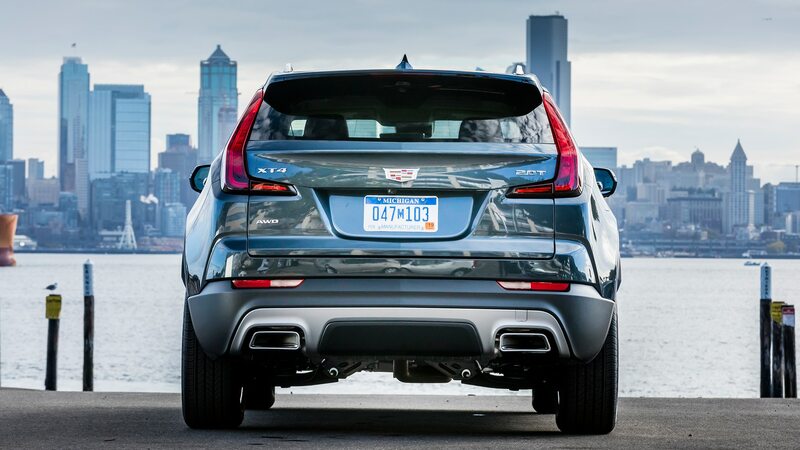 Suspension is strut-type up front, and five-link a la XT5 in the rear. 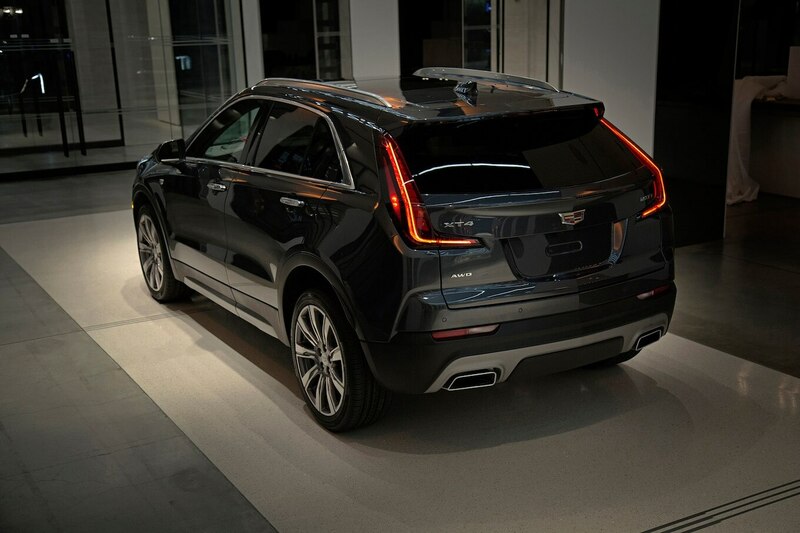 Sport models are available with an optional Active Sport Suspension. 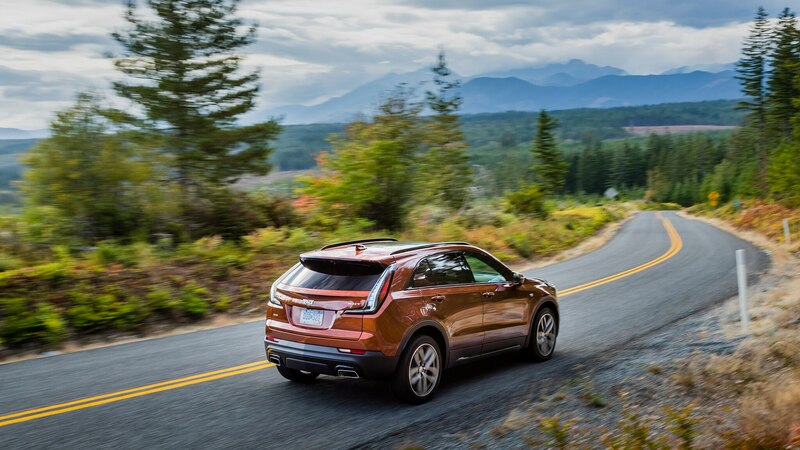 We had a chance to wring out both Sport and Premium Luxury versions of the XT4 over a smorgasbord of Washington state highways and rural backroads, and we came away impressed. 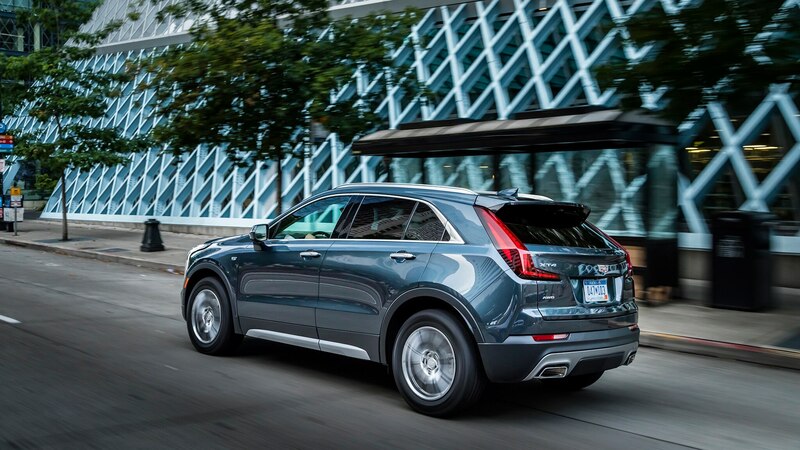 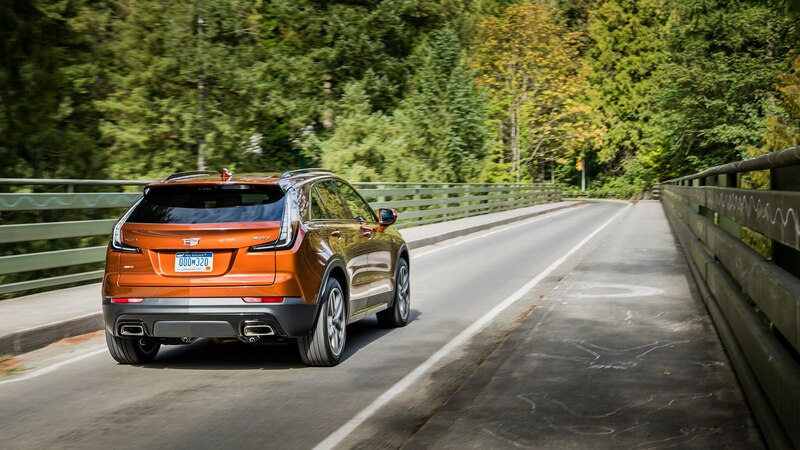 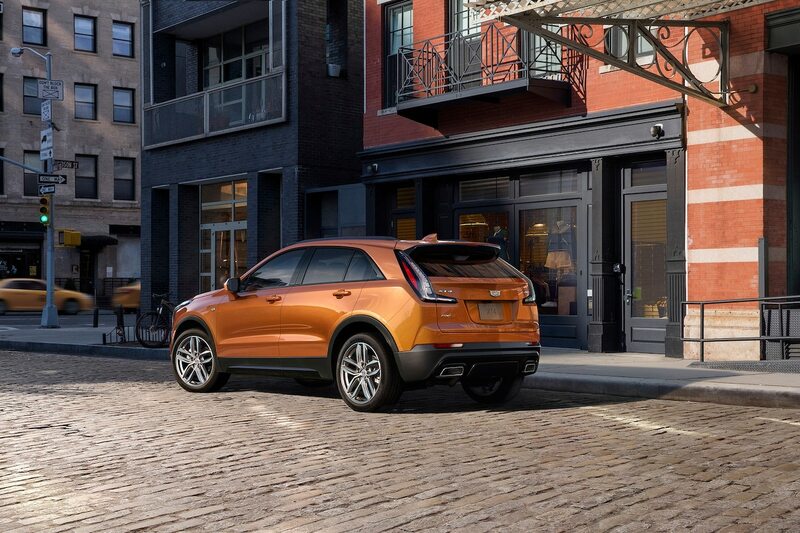 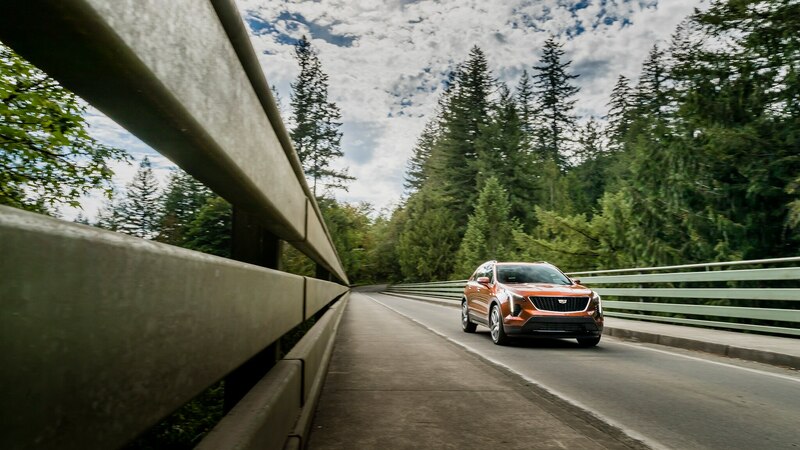 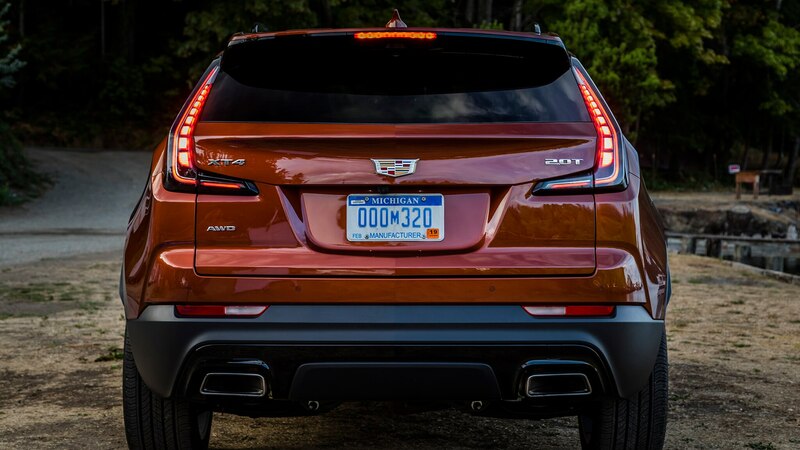 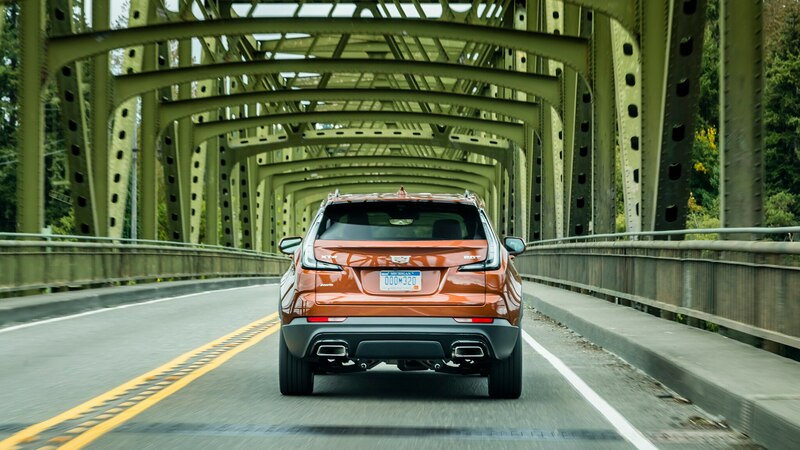 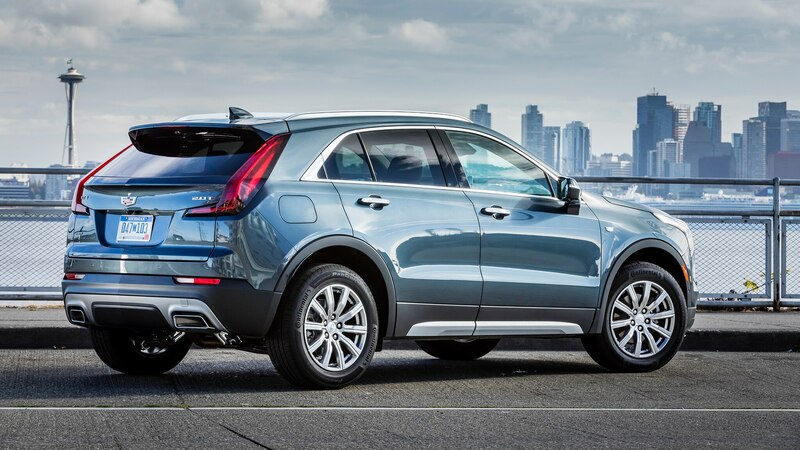 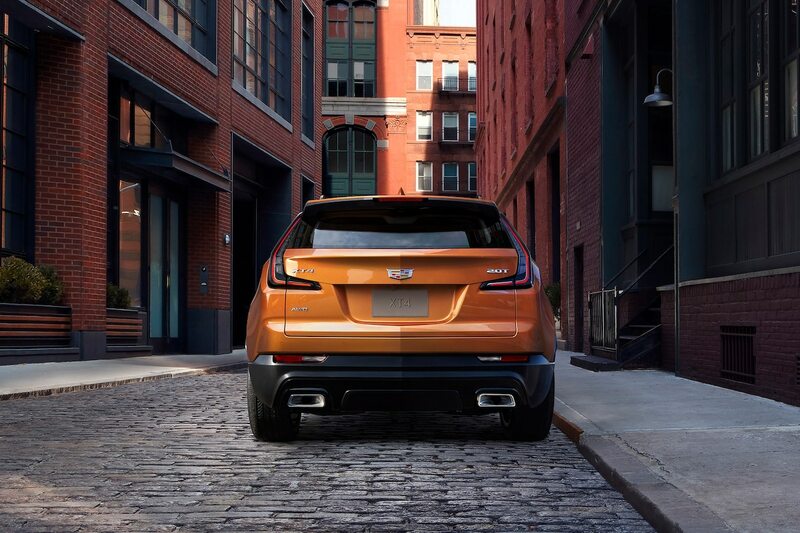 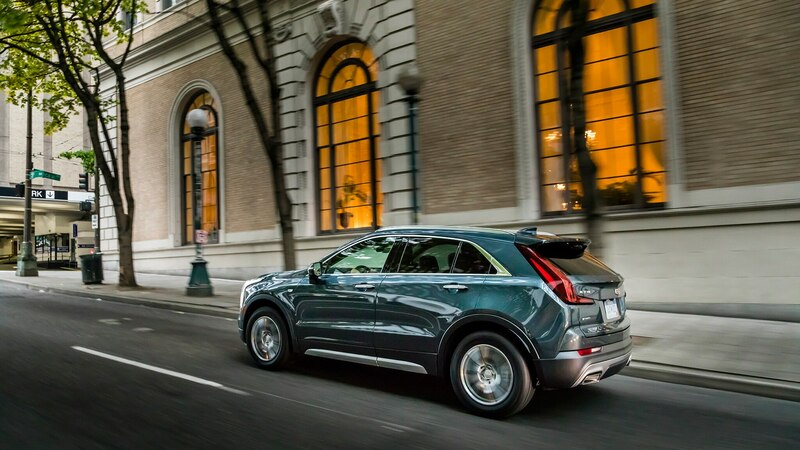 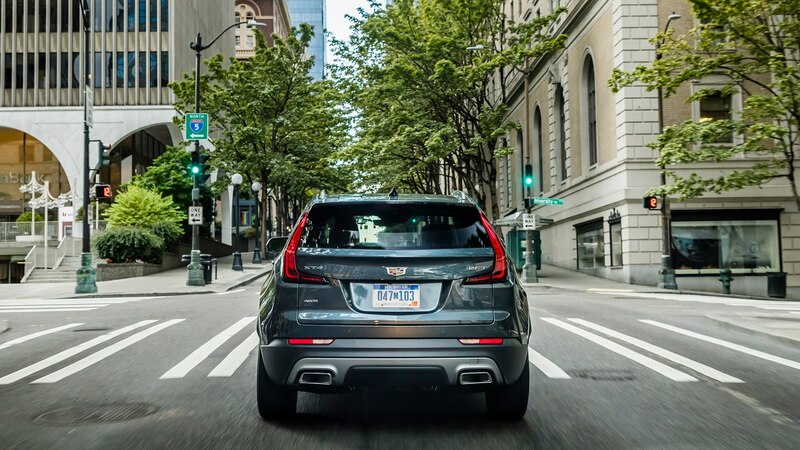 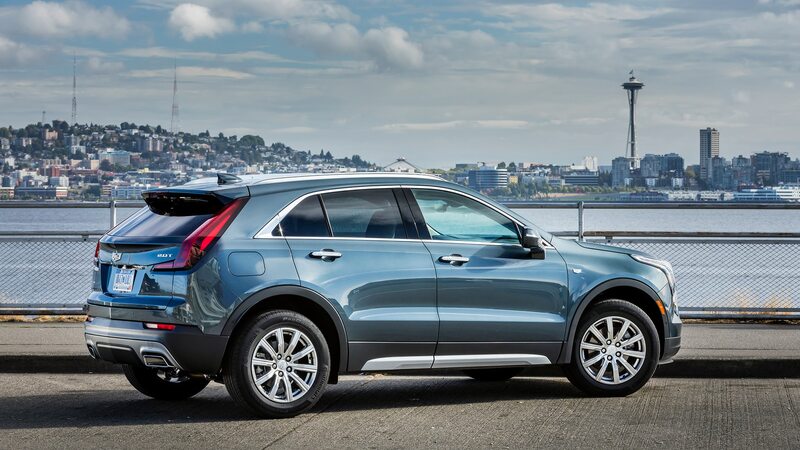 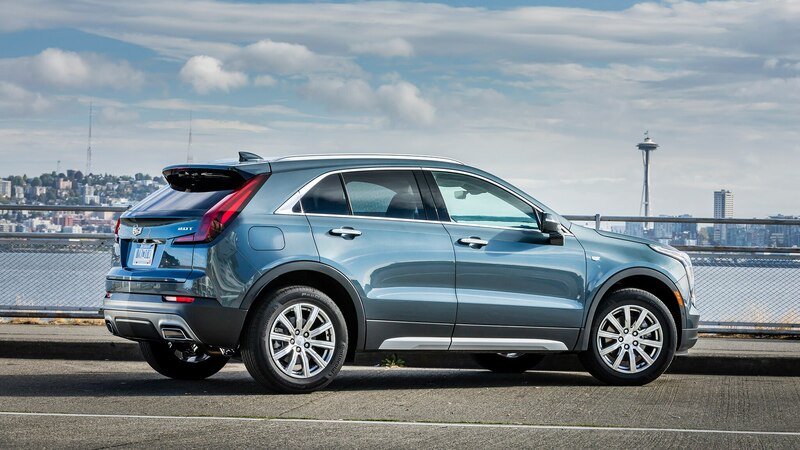 Both XT4 trims exhibited a sporty feel for a crossover thanks to a combination of precise steering and throttle inputs and good body control. 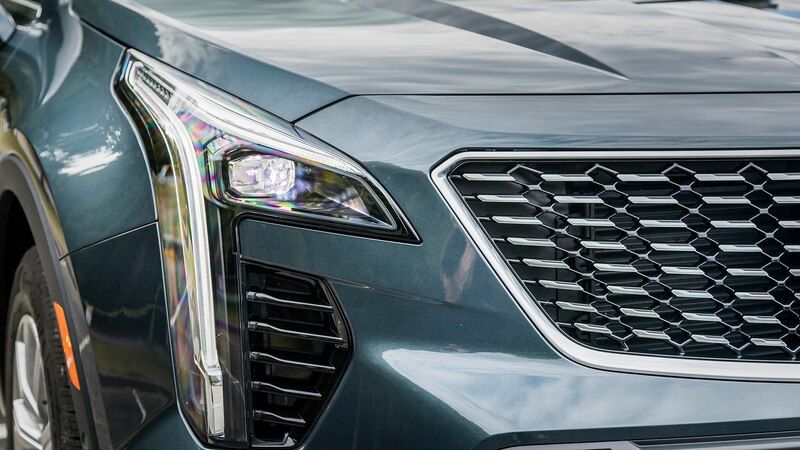 Slowing things down are strong electro-hydraulic assist brakes that we’re told were benchmarked for feel against the ATS. 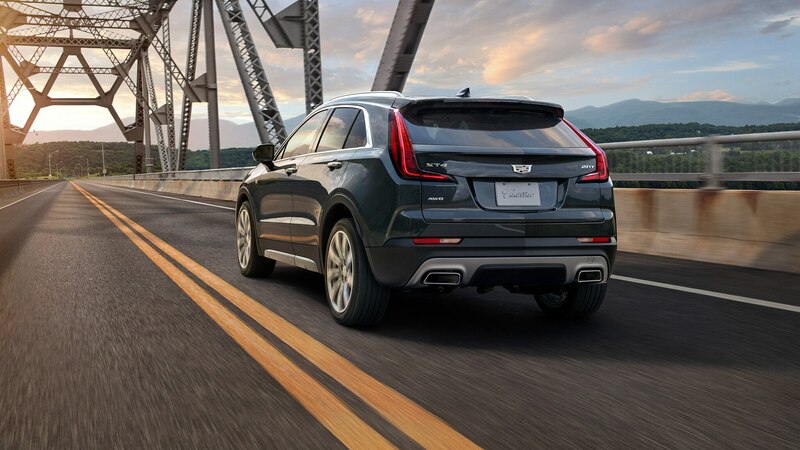 This means the pedal is firm and not over-boosted like several other crossovers we’ve driven. 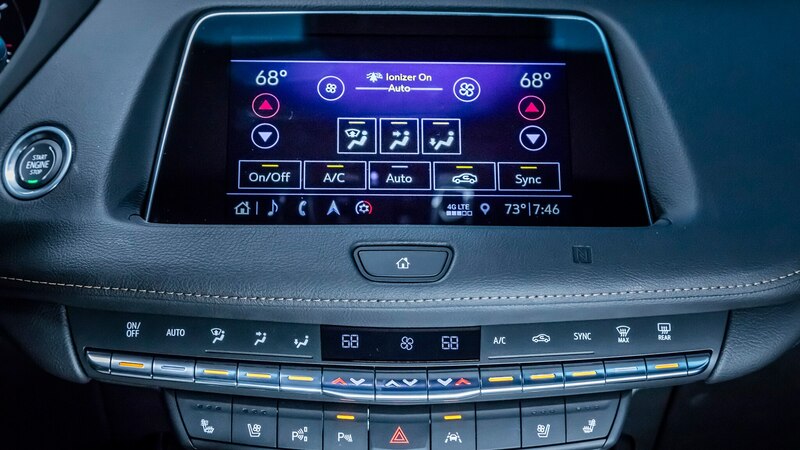 It took a little getting used to initially, but ultimately rewarded us with excellent modulation. 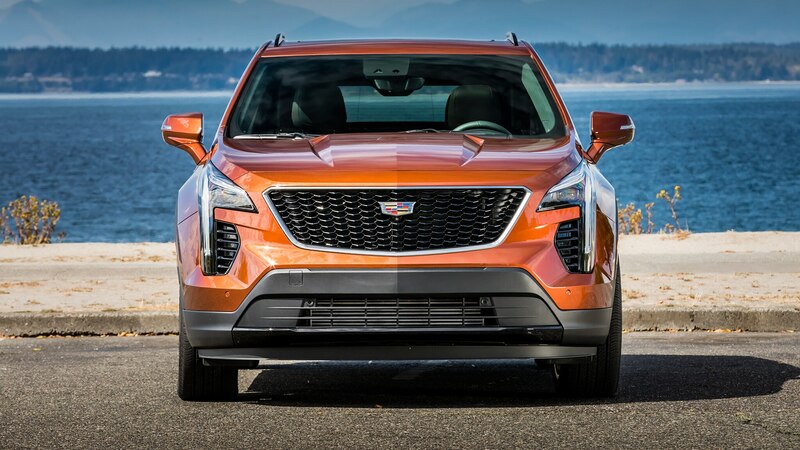 The XT4’s 2.0T engine felt lively and eager to rev through the midrange, though it starts running out of breath above 5,000 rpm. 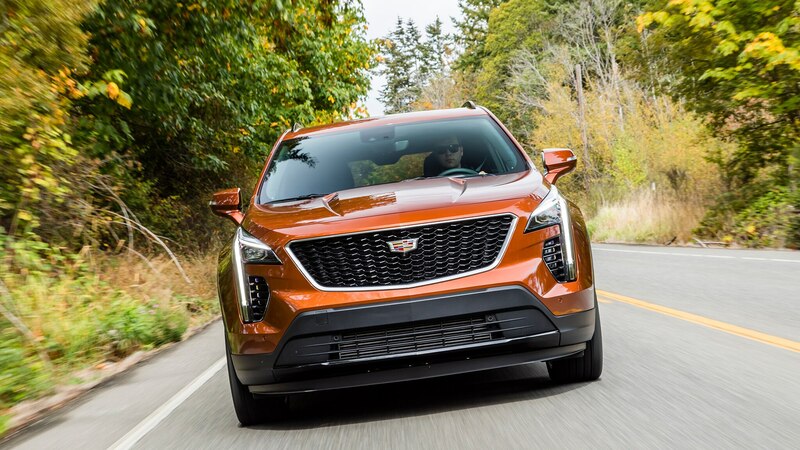 That said, in normal driving, plenty of low-down torque and the 9-speed transmission conspire to keep revs low while not feeling like the XT4 is bogging in the slightest. 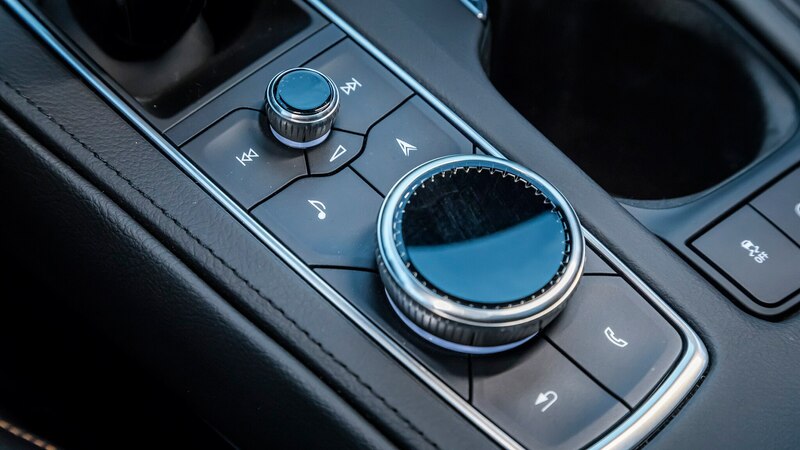 This is possibly the best 9-speed we’ve experienced to date, with little gear hunting and silky smooth shifts that are almost imperceptible at times. 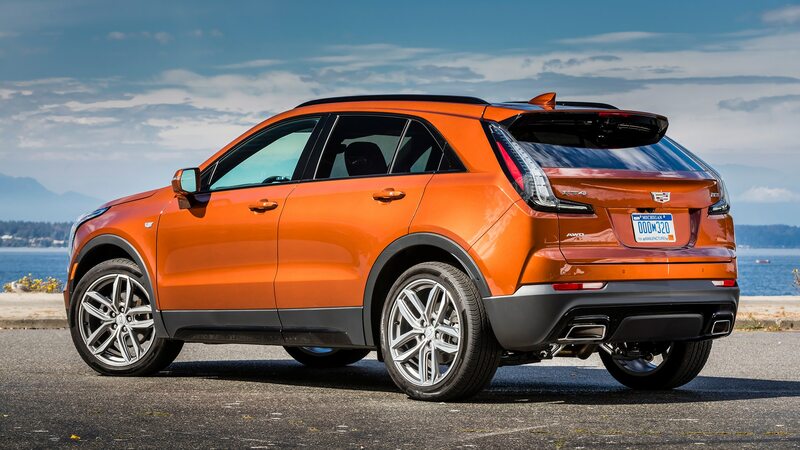 That said, the XT4 is no rocket—258 lb-ft of torque only goes so far when there’s nearly 4,000 lbs of crossover to push around. 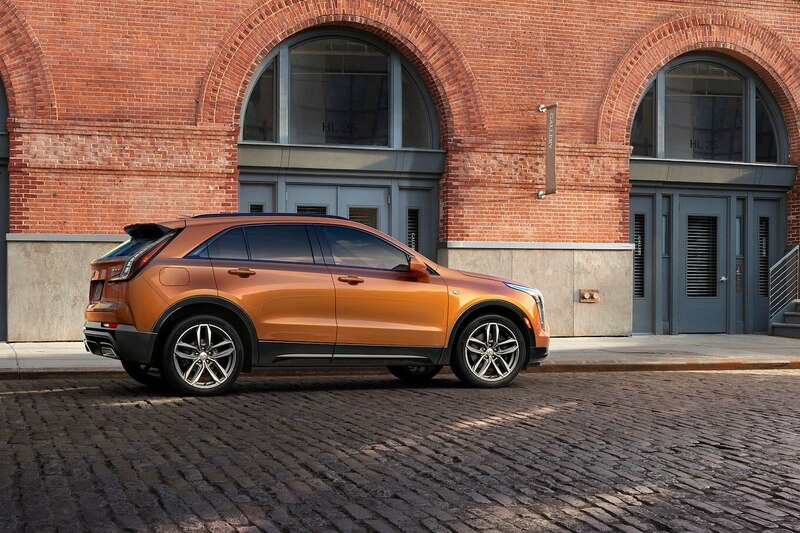 Given that the XT4’s target demographic is young urban dwellers, this shouldn’t matter in the least though when tooling around the nation’s cityscapes. 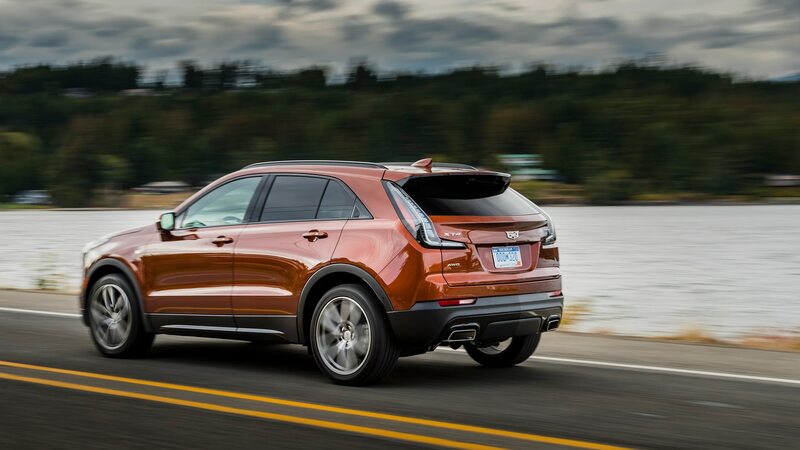 Both XT4s we drove were equipped with the optional all-wheel drive system. 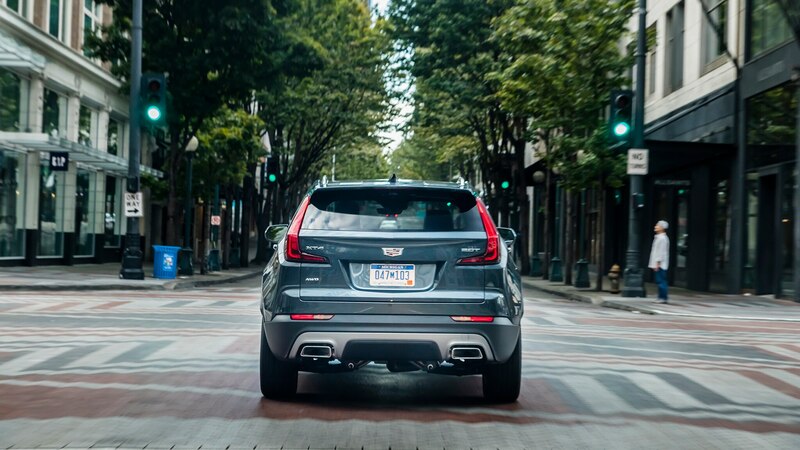 Switching between FWD and AWD is seamless, but it takes a few seconds to complete. 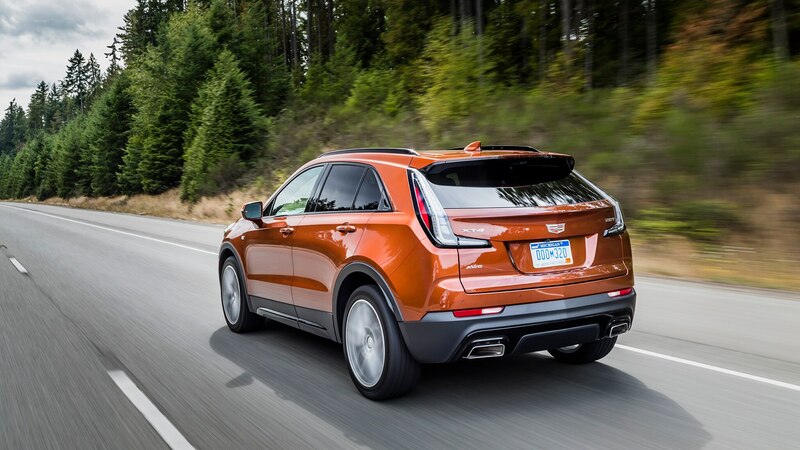 In FWD mode on dry pavement, a firm boot of throttle from a stop led to a bit of wheel spin and light torque steer, while the XT4 moved out confidently under heavy acceleration in AWD mode. 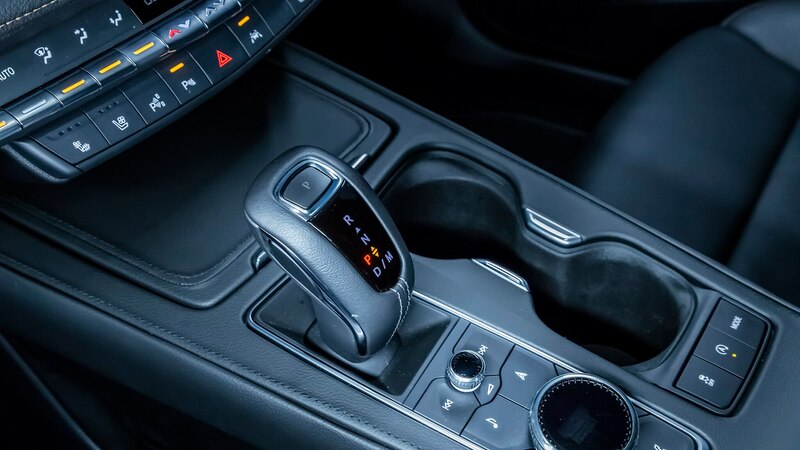 We wonder how many buyers will actually toggle between the FWD and AWD settings, but they should keep it primarily in FWD if they want to optimize fuel economy and lessen drivetrain wear. 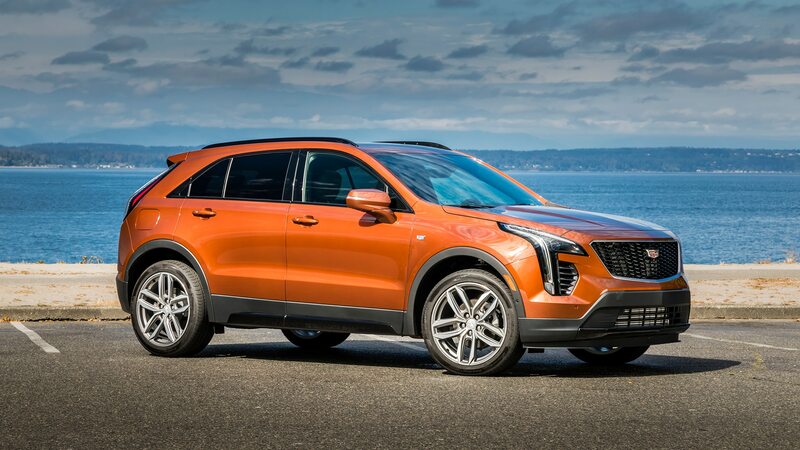 We’re looking forward to getting more seat time in the XT4 and seeing how it compares with its rivals. 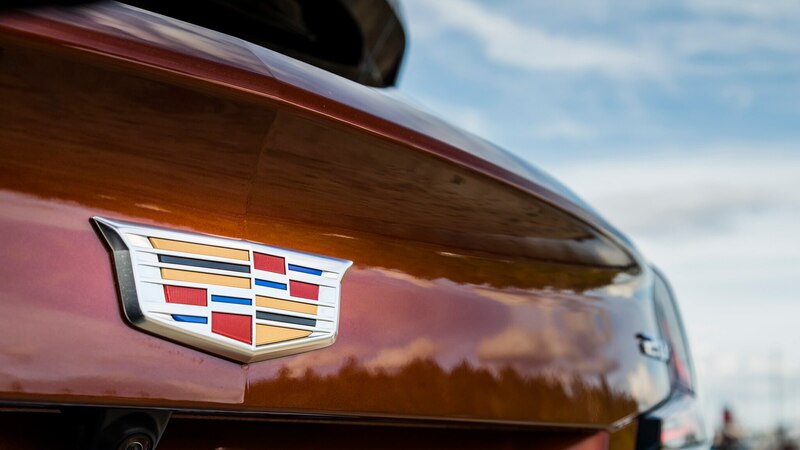 But for now, we can safely say we enjoyed our first encounter with what’s bound to become a volume seller for Cadillac. 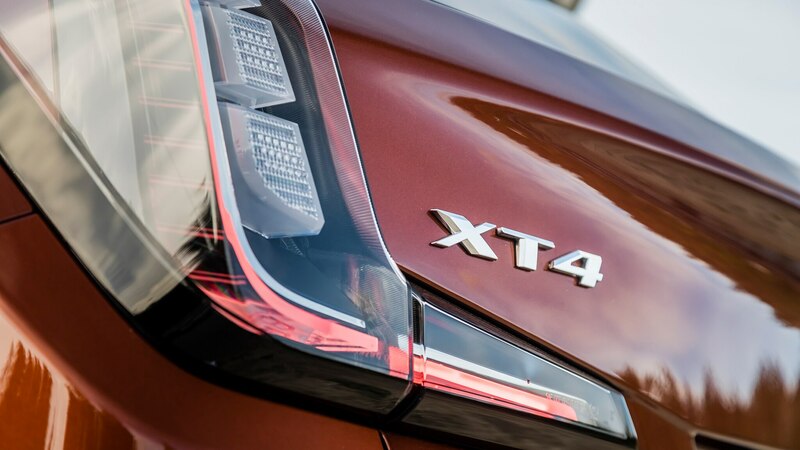 And there’s more where the XT4 came from. 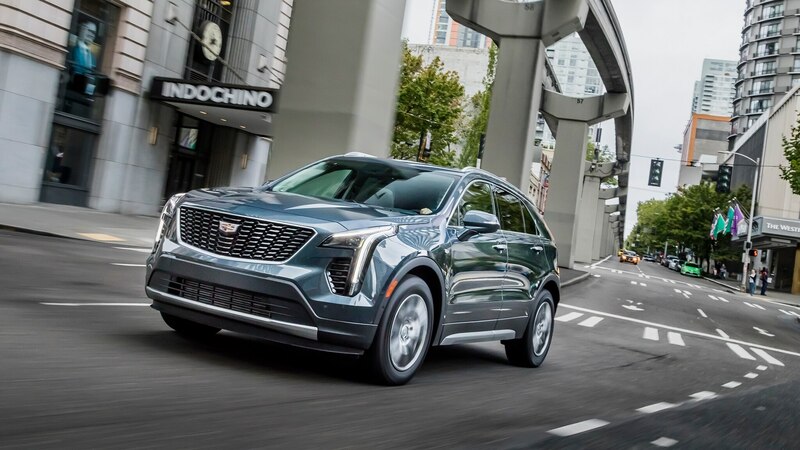 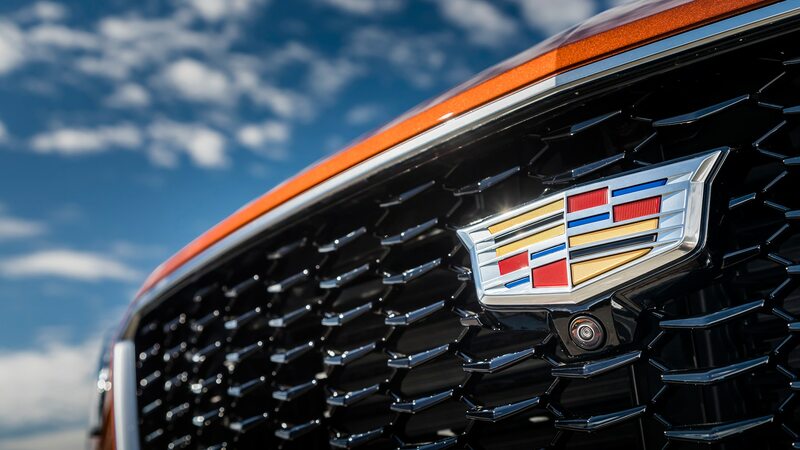 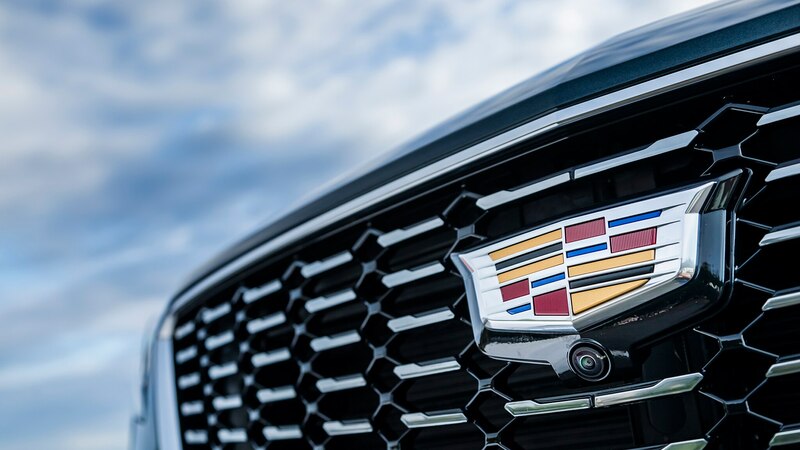 Cadillac is promising a new model launch every six months through 2020, and if the XT4 is any indication, we’re betting the American luxury brand is in for more successes to come—especially now that we know more of the what behind the Y.